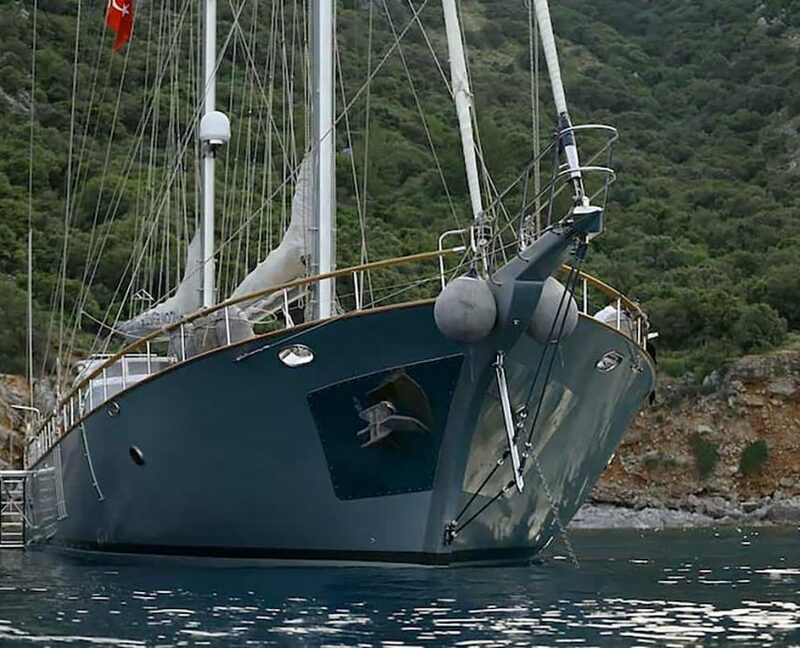 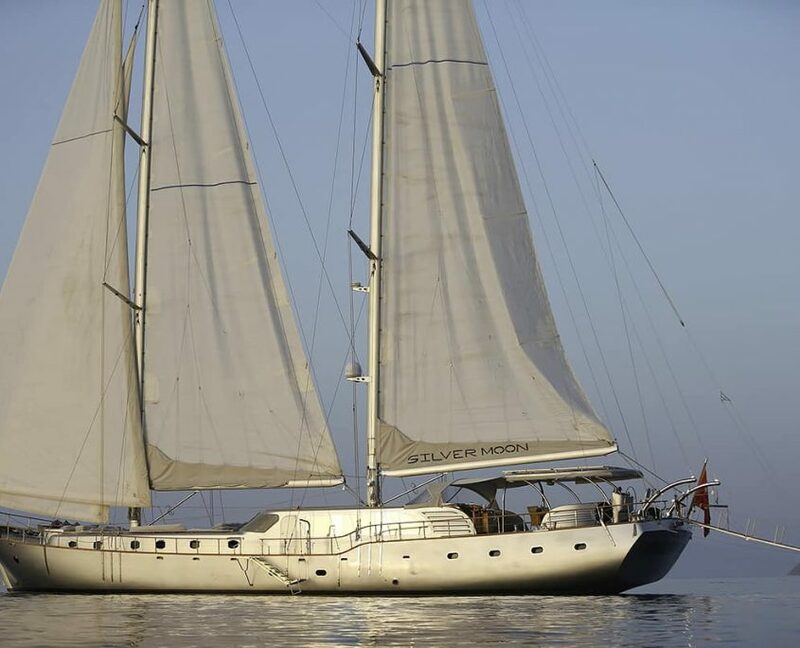 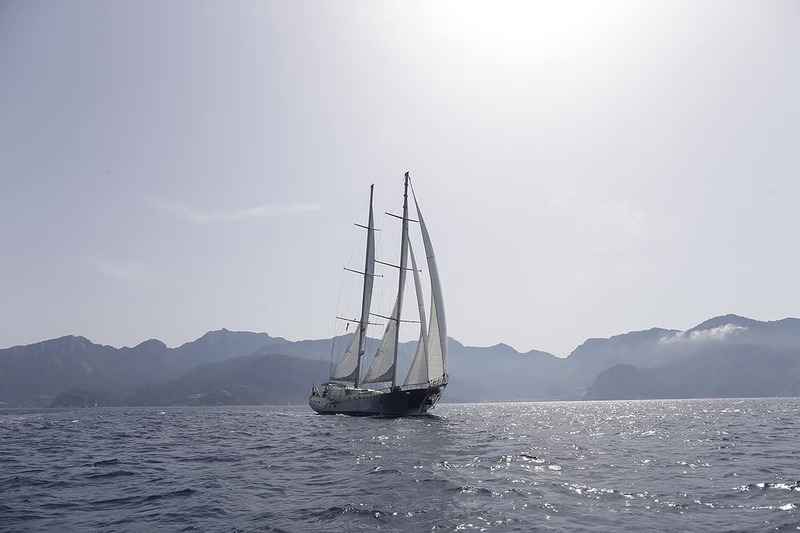 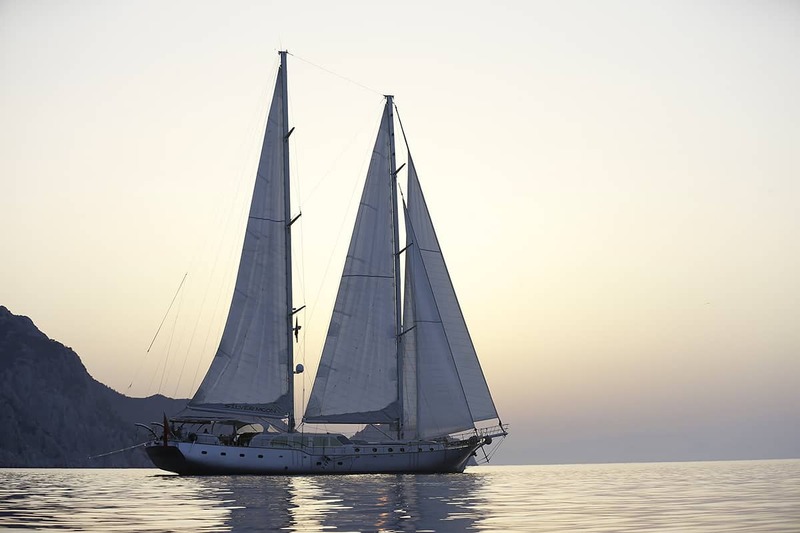 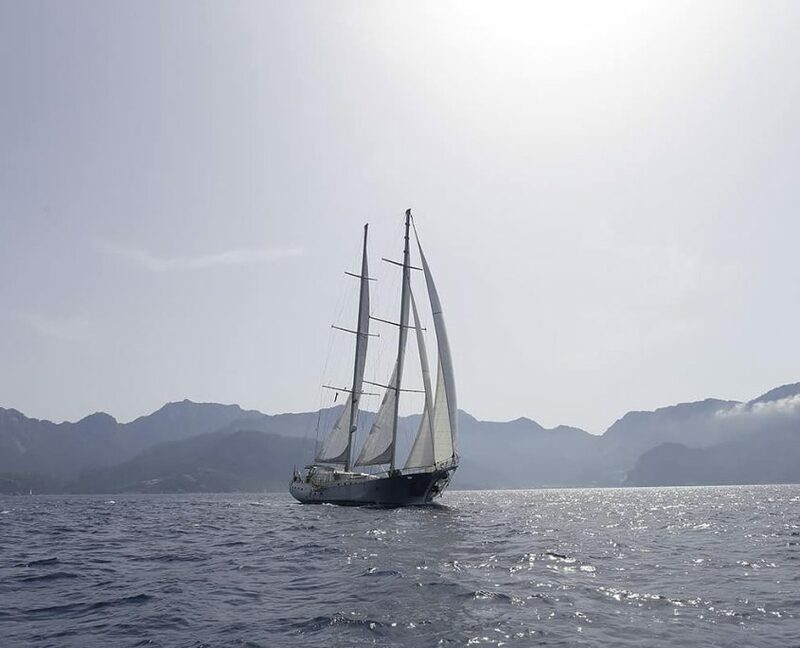 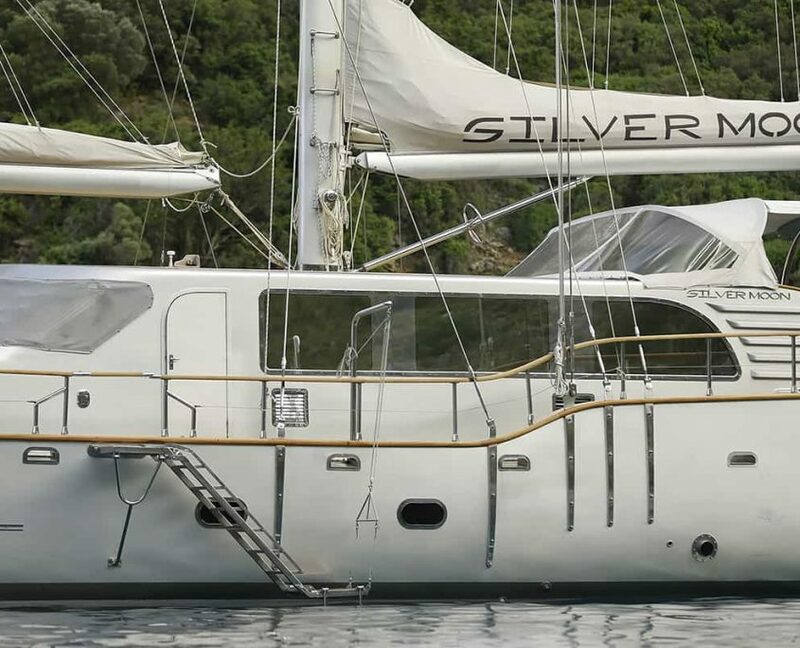 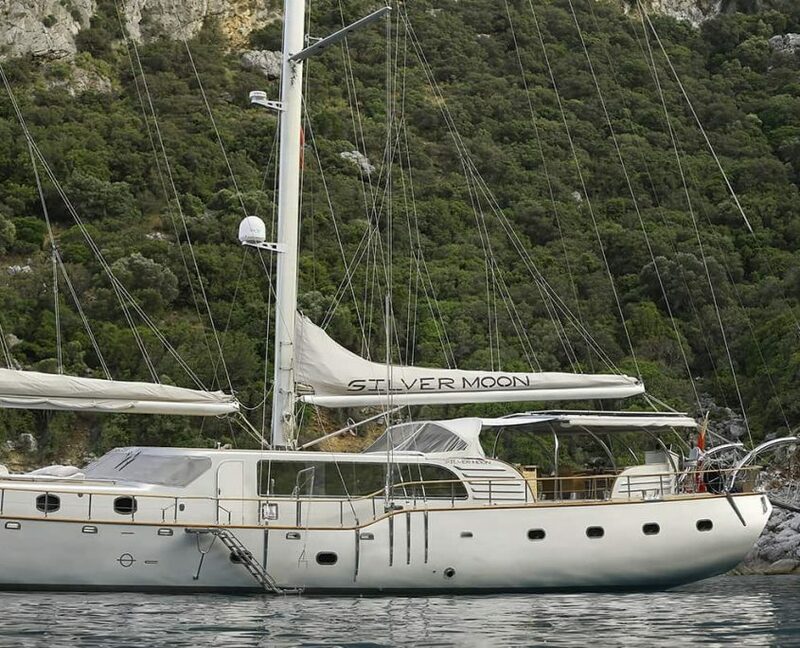 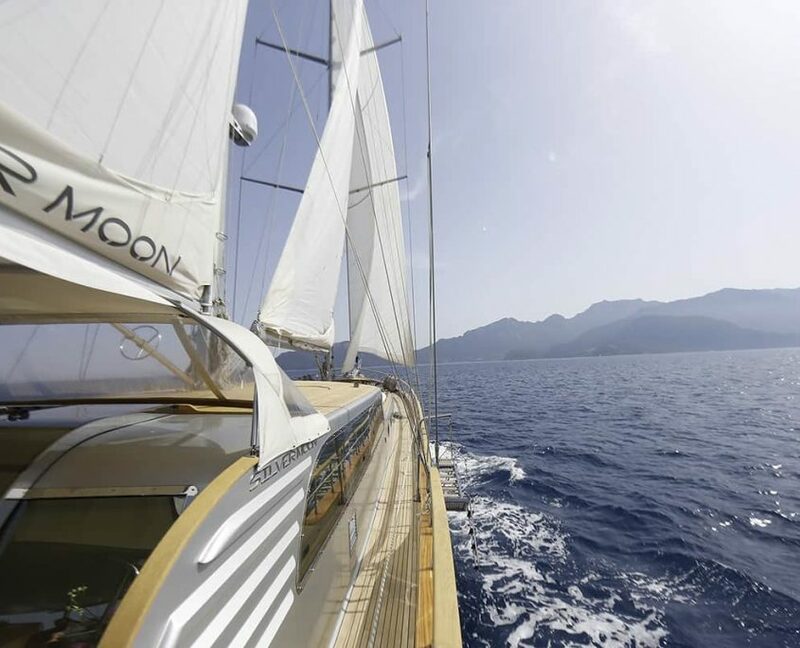 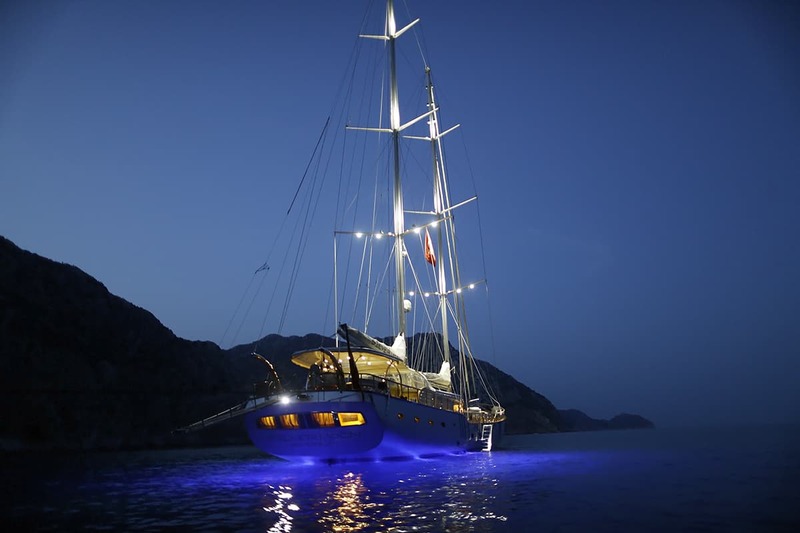 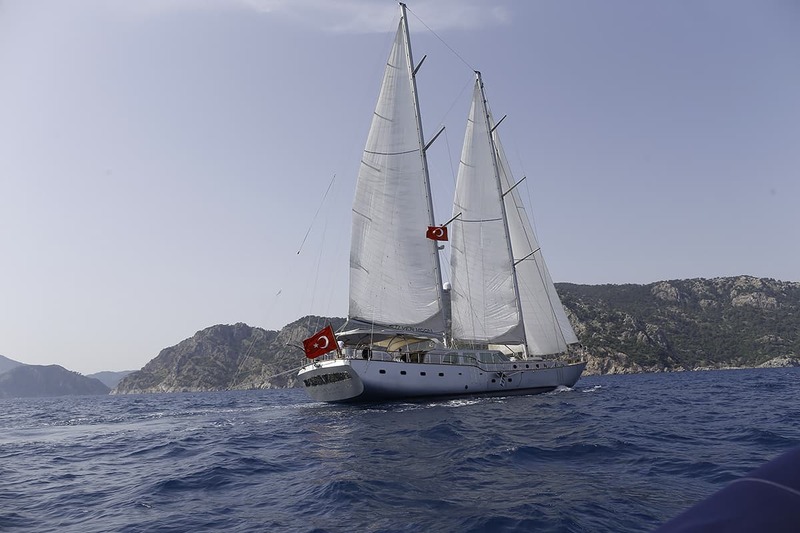 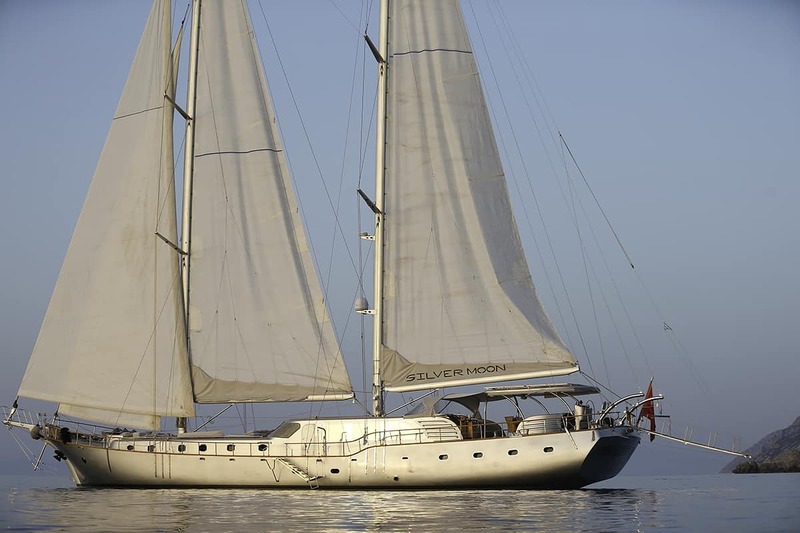 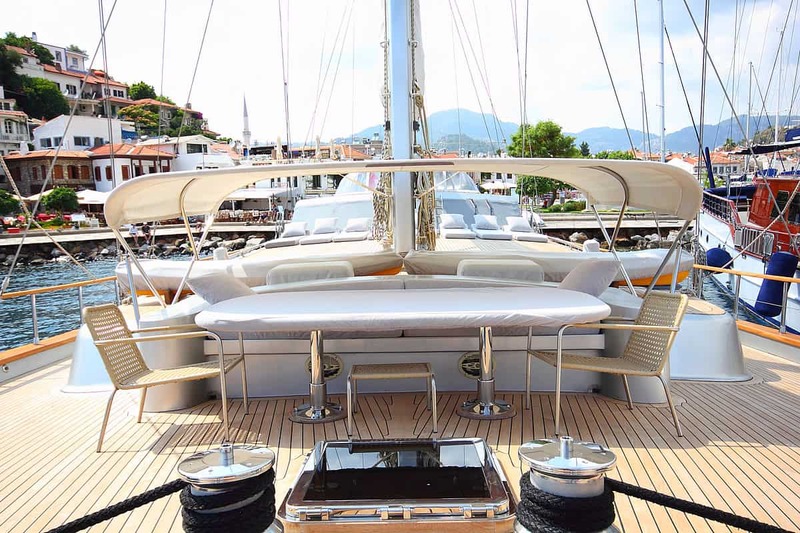 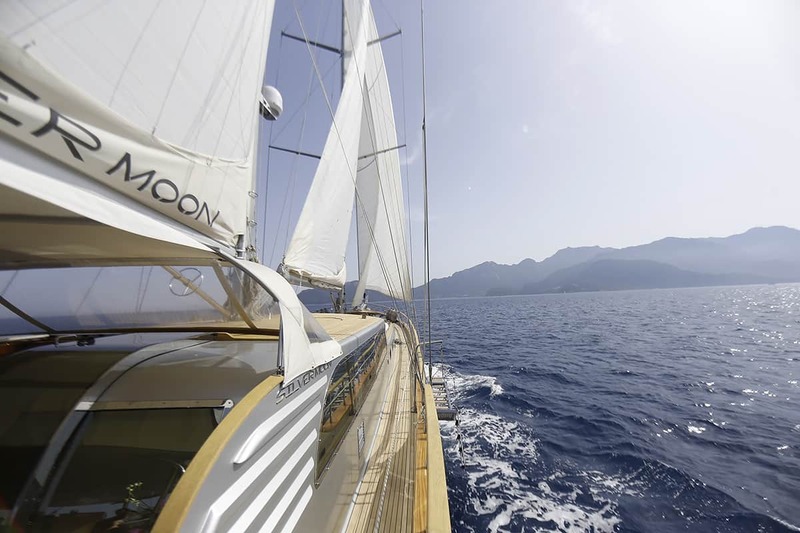 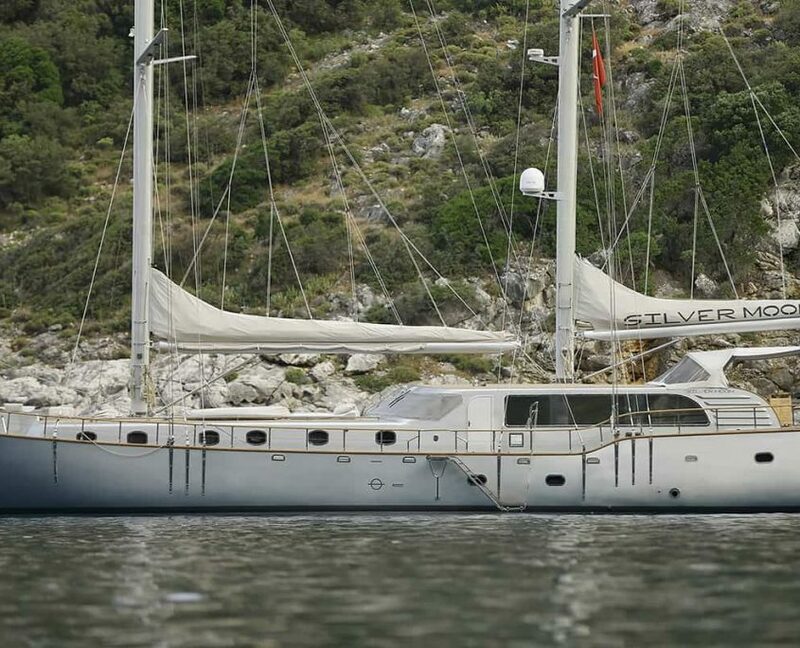 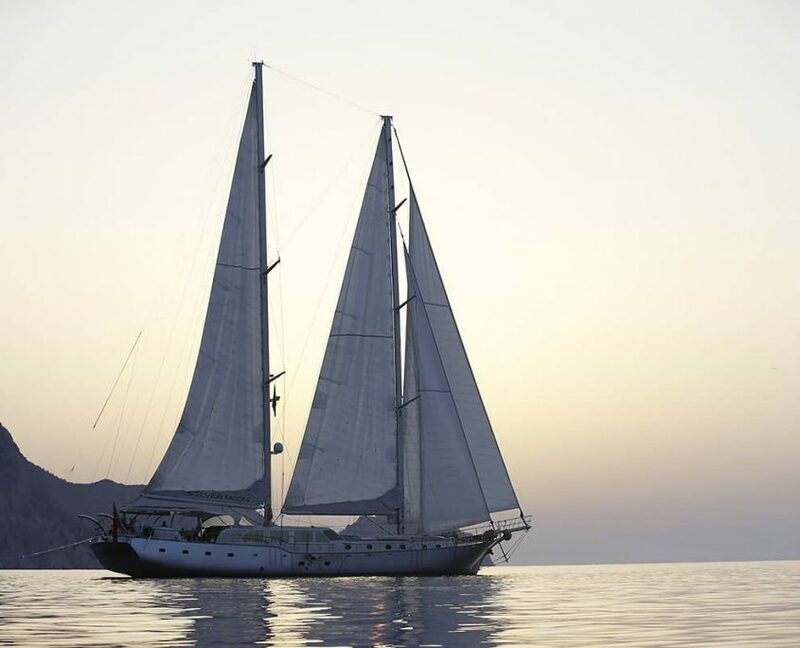 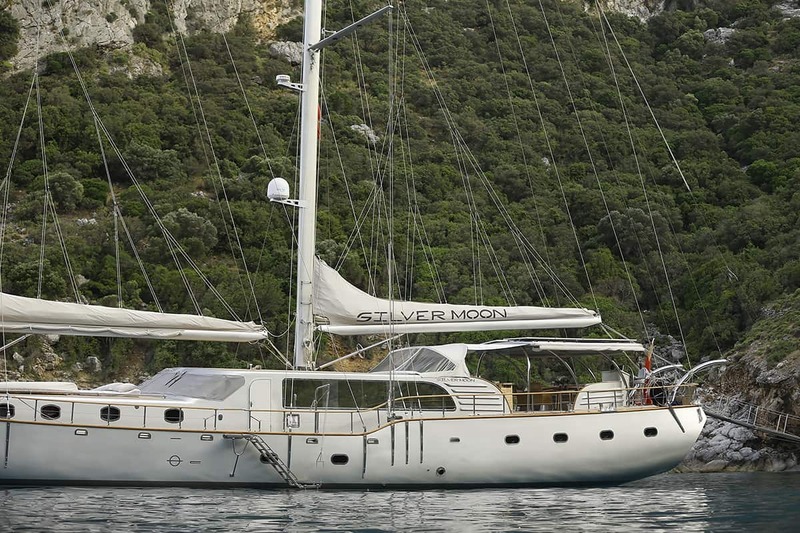 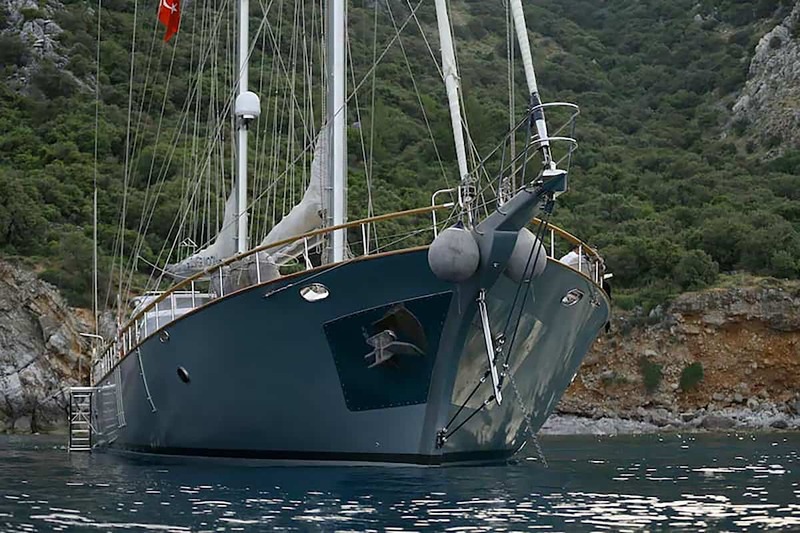 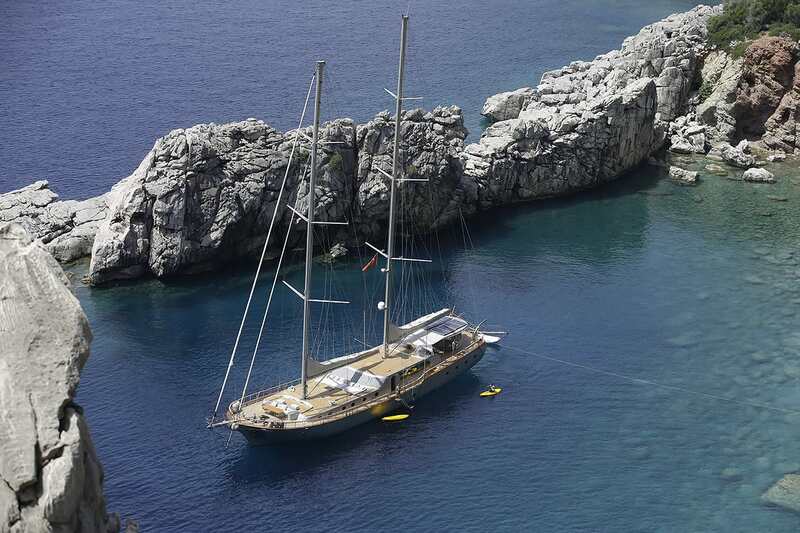 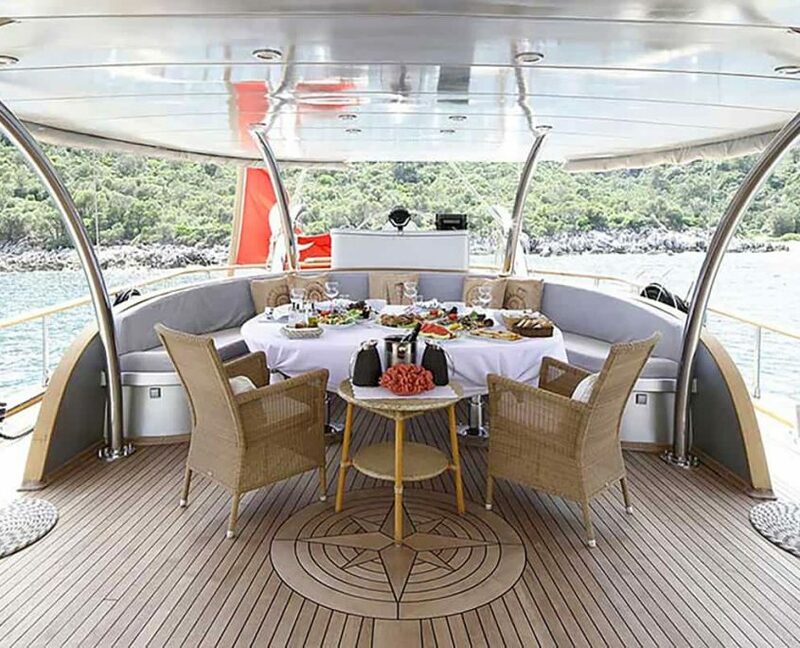 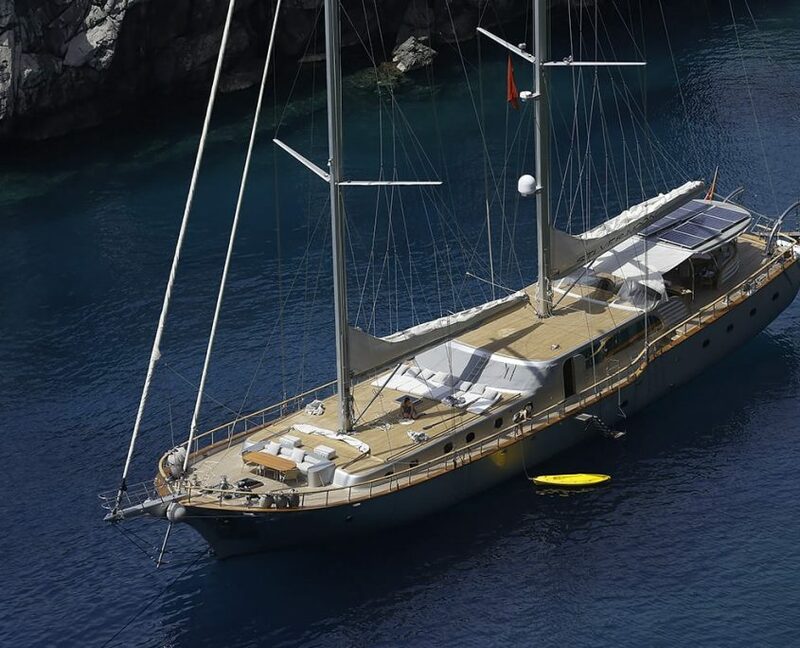 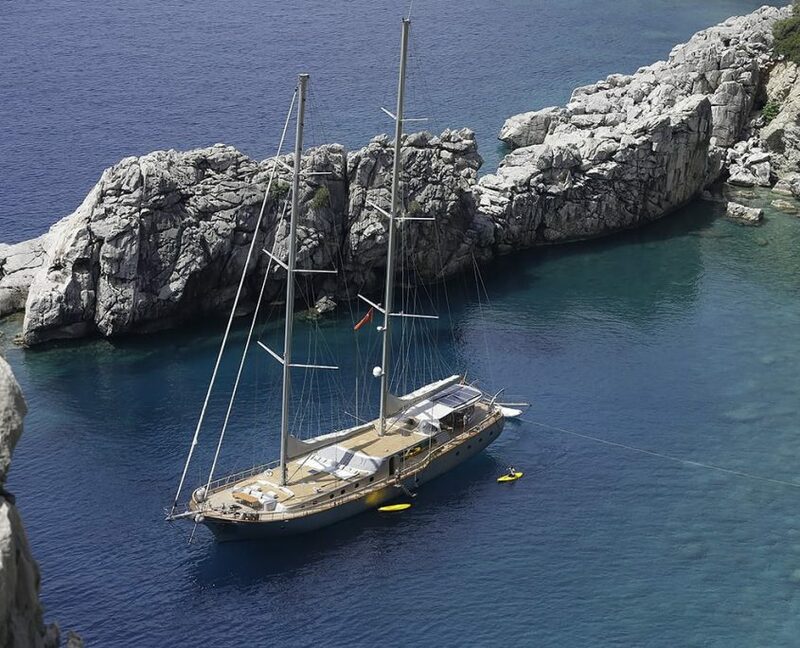 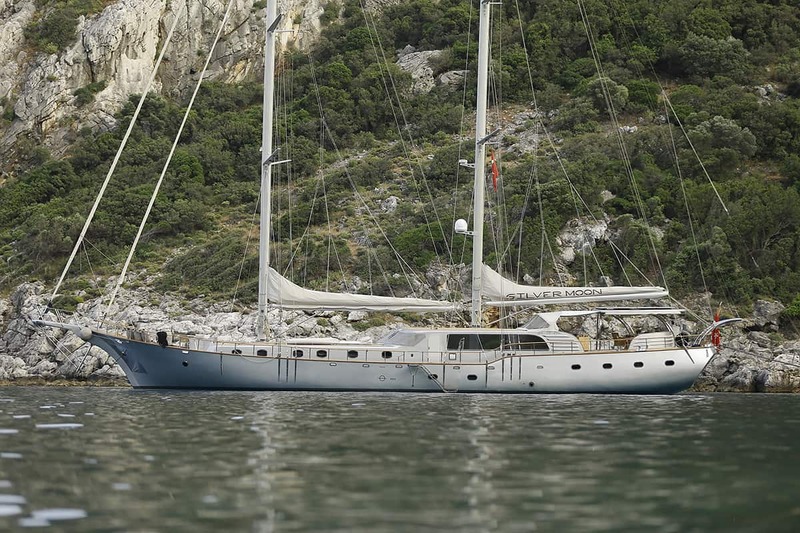 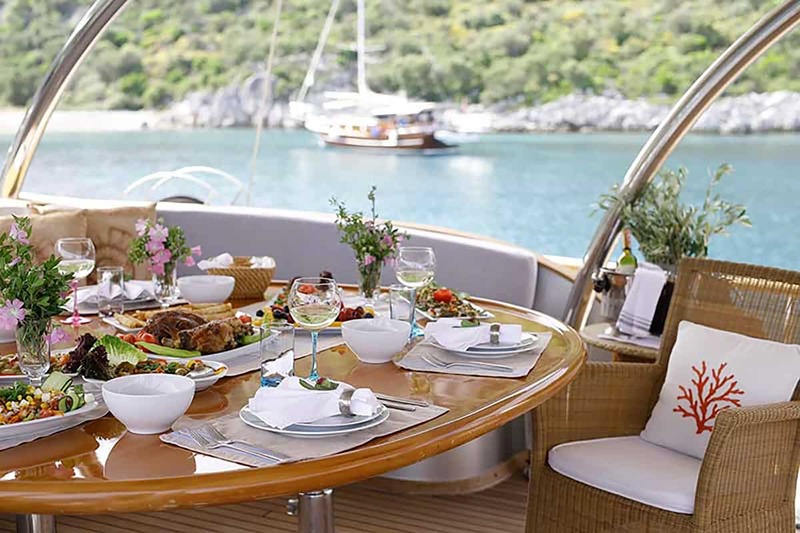 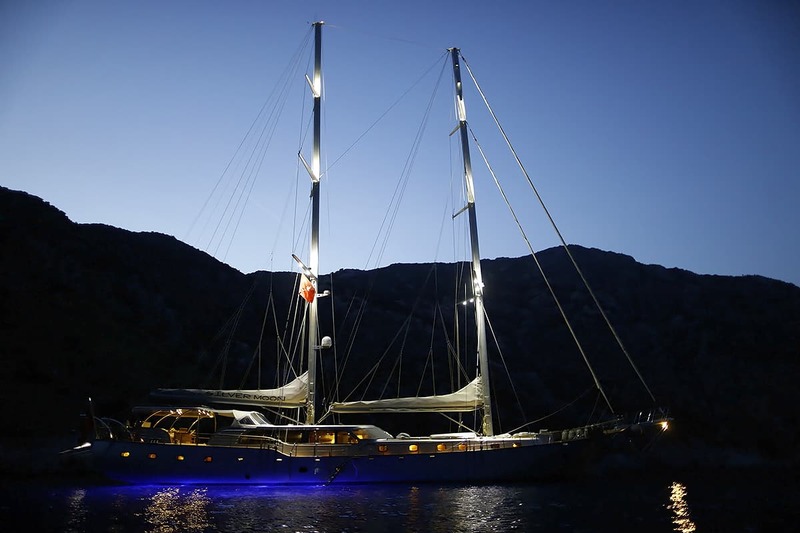 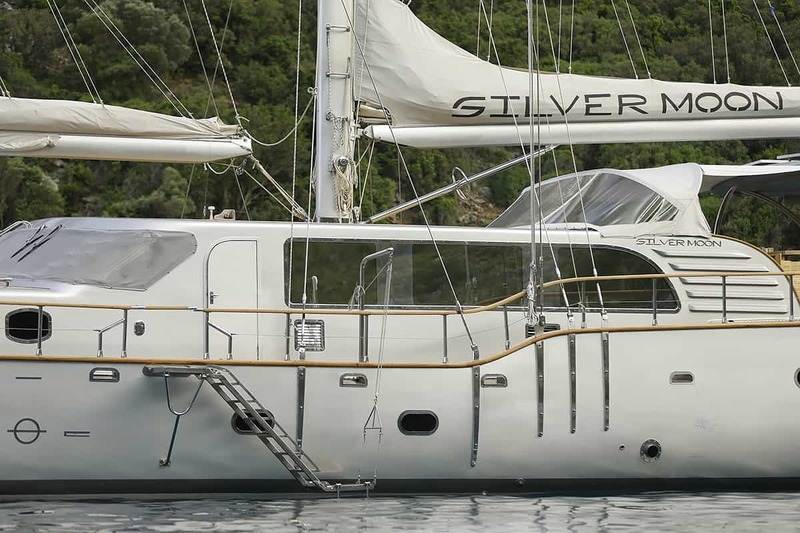 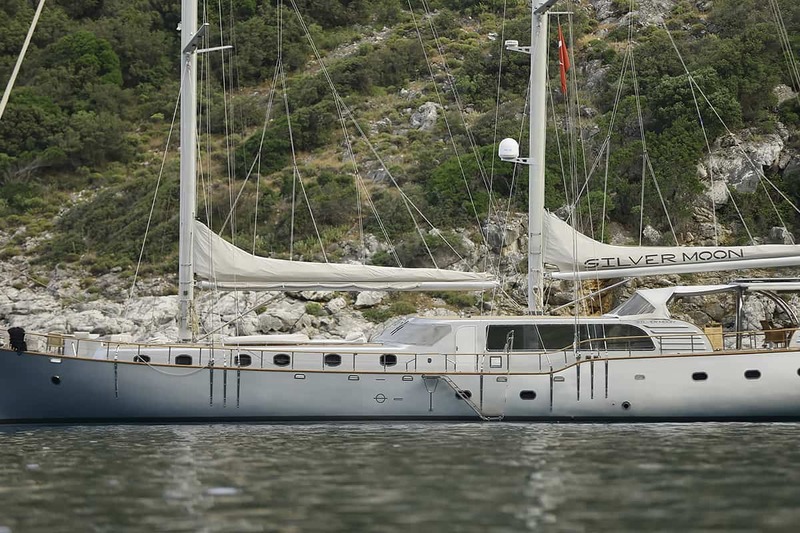 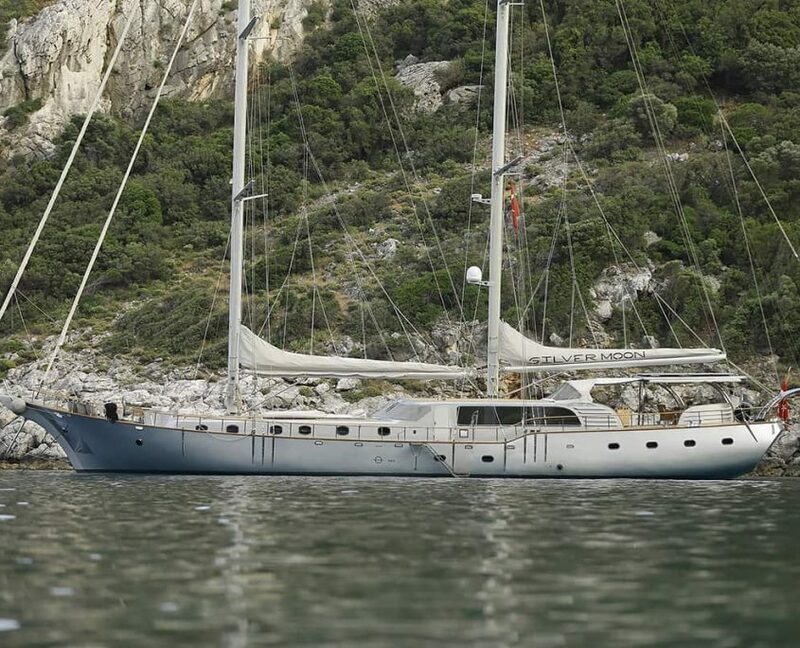 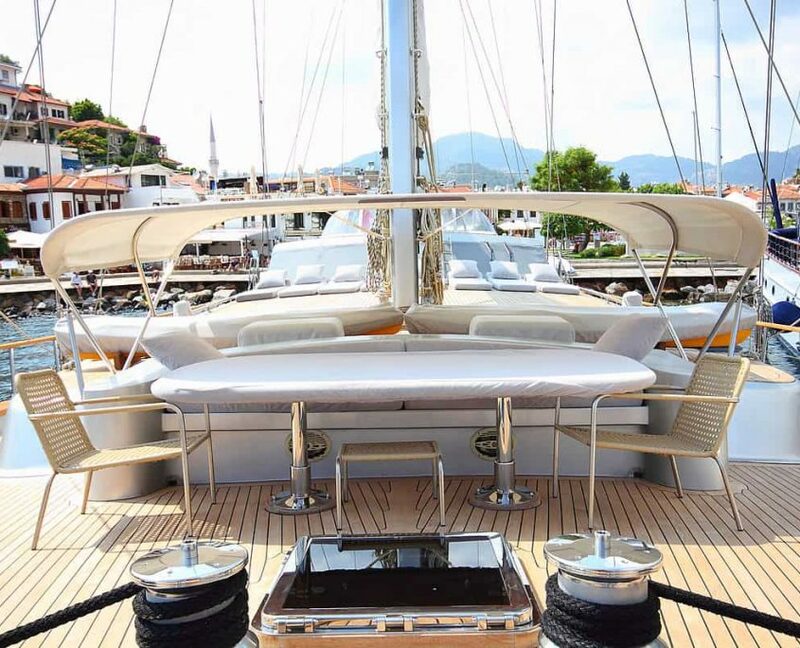 Ultra-modern yet contemporary gulet Silver Moon stands out with her soft and poetic lines. 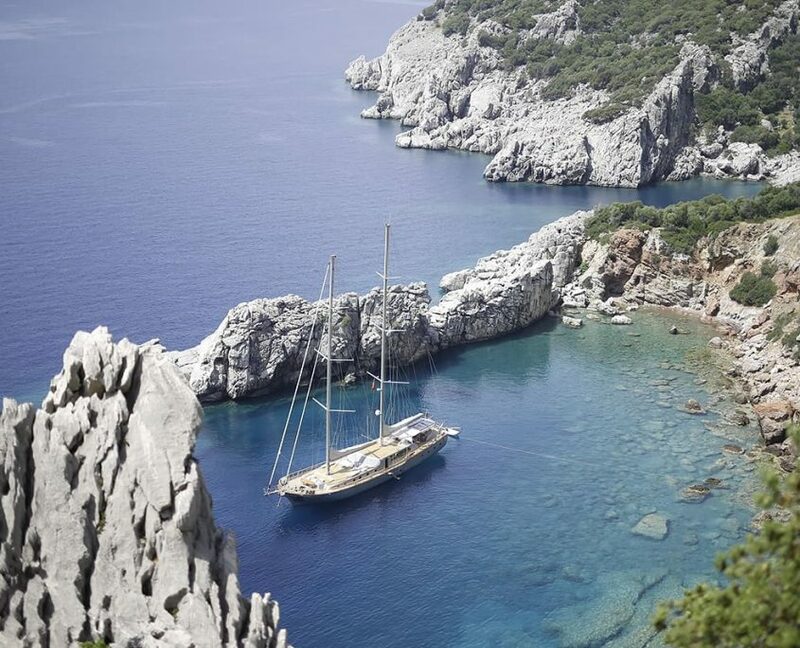 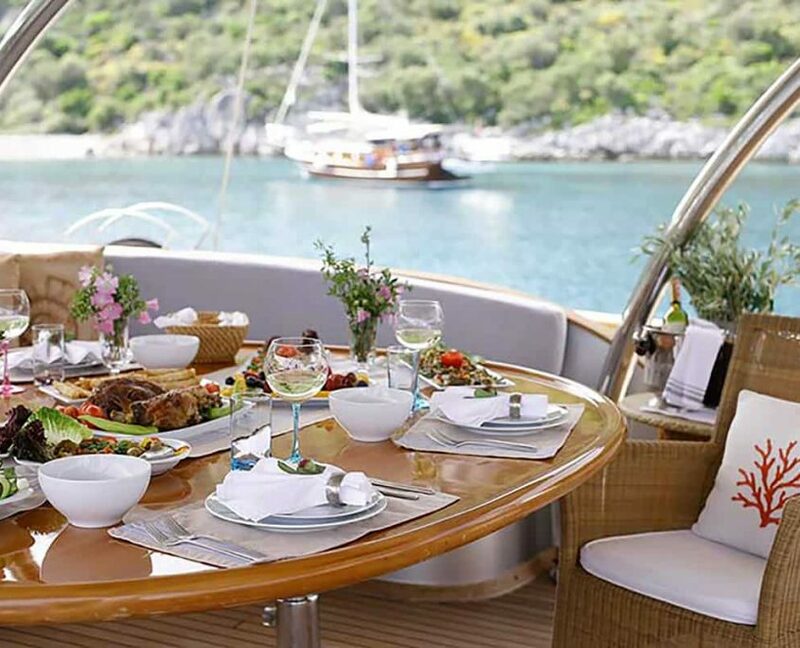 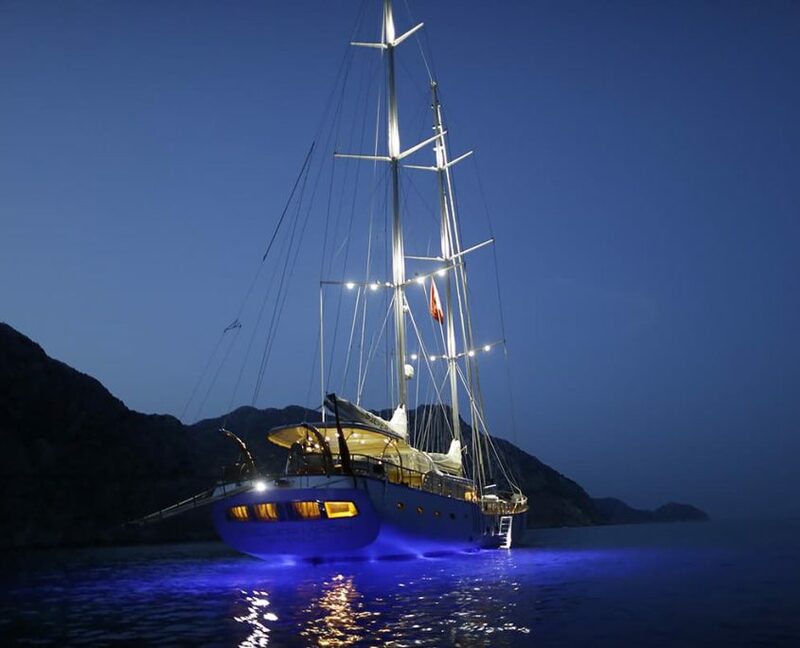 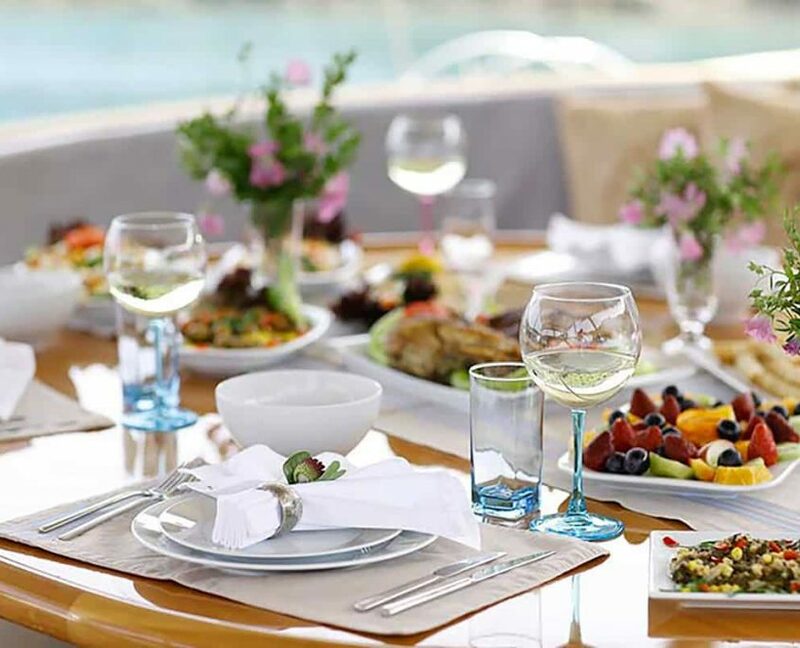 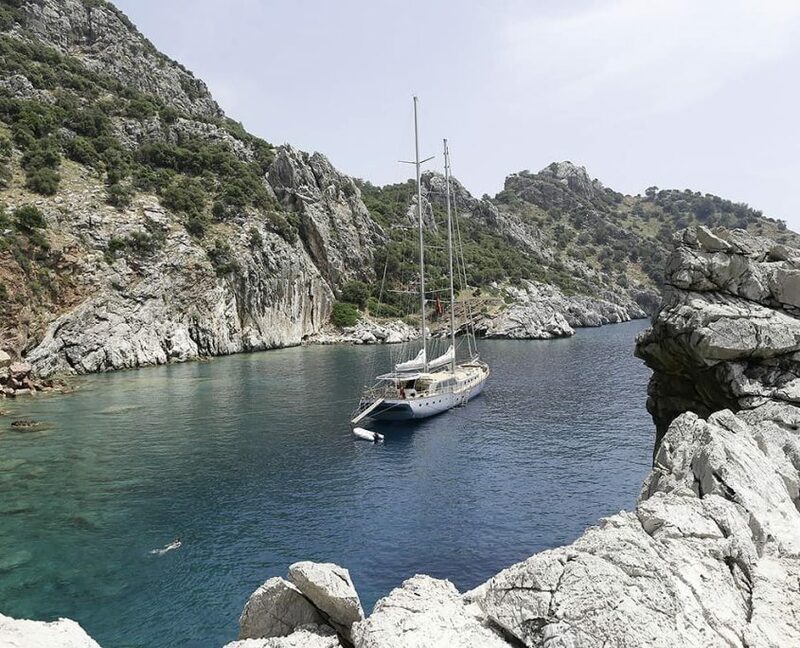 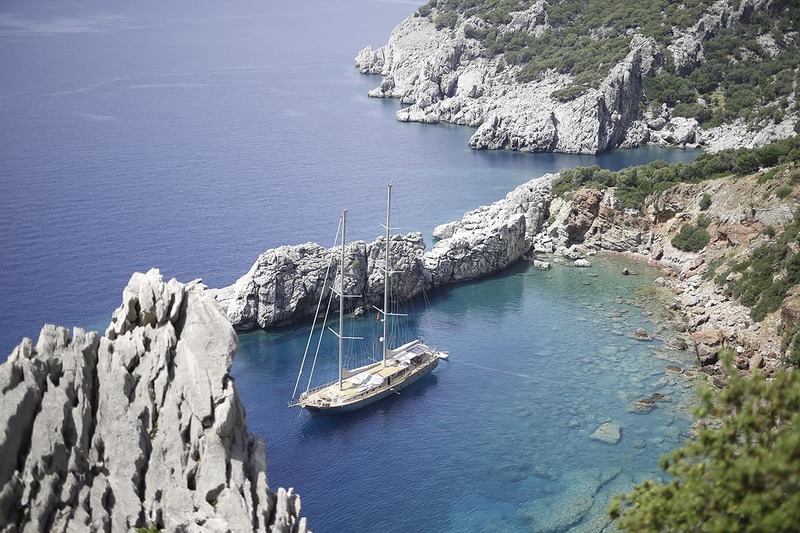 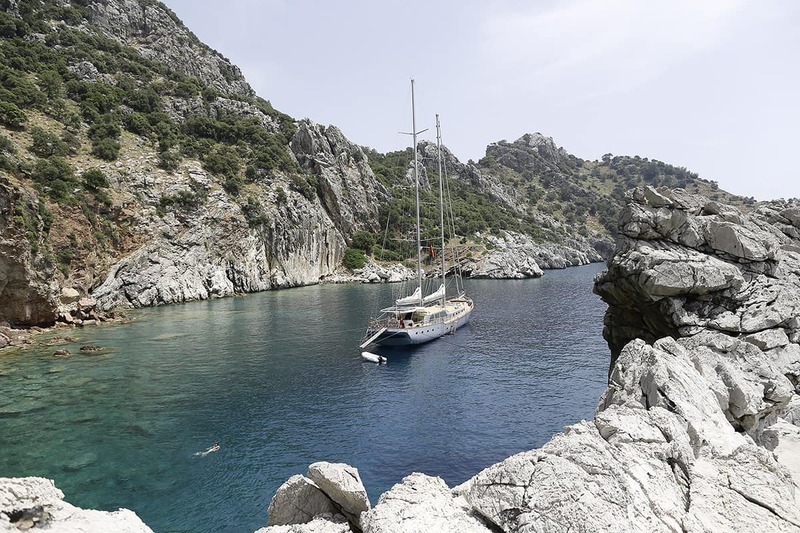 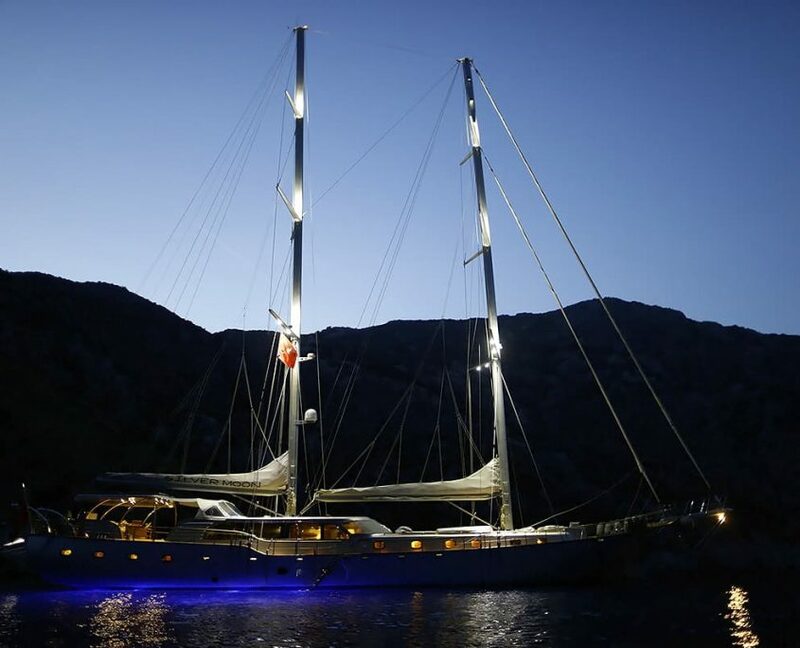 Gulet has been refurbished in the year 2013, she offers you the blue cruise service for your group up to 8 people. 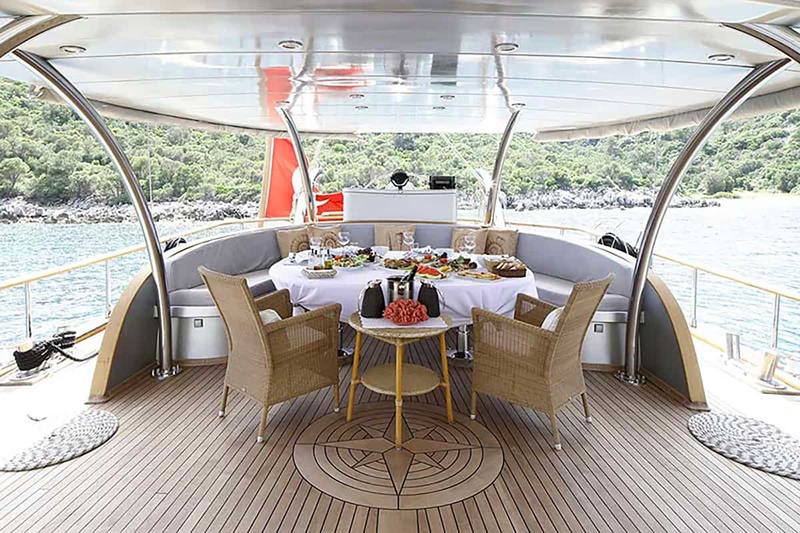 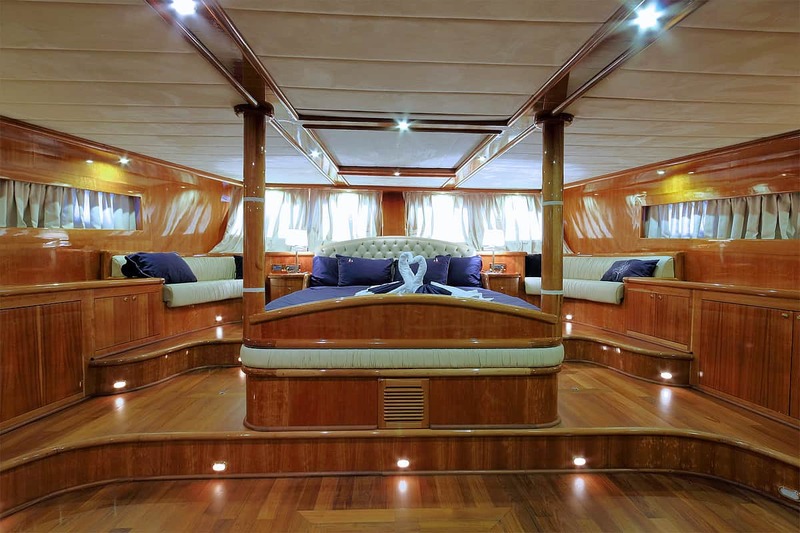 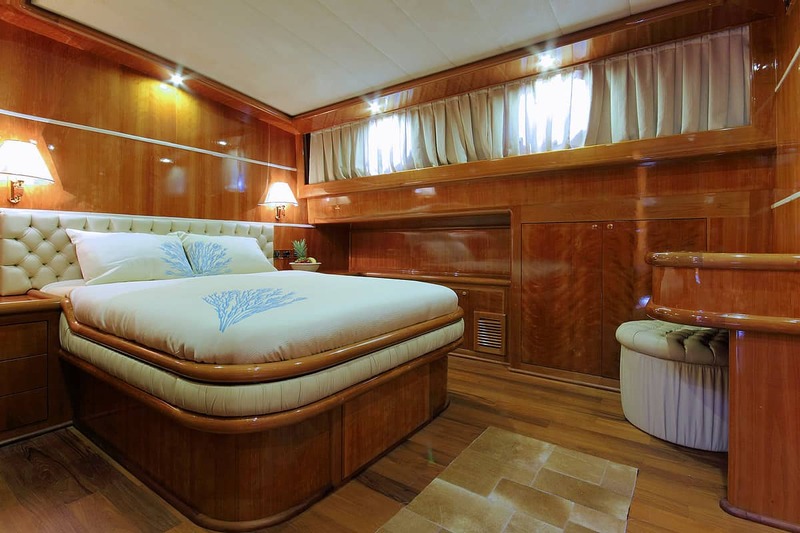 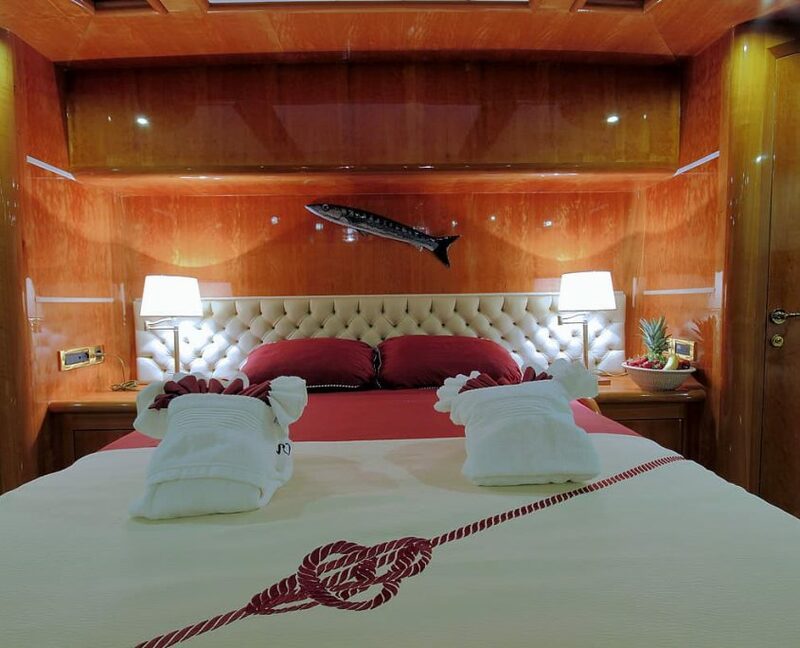 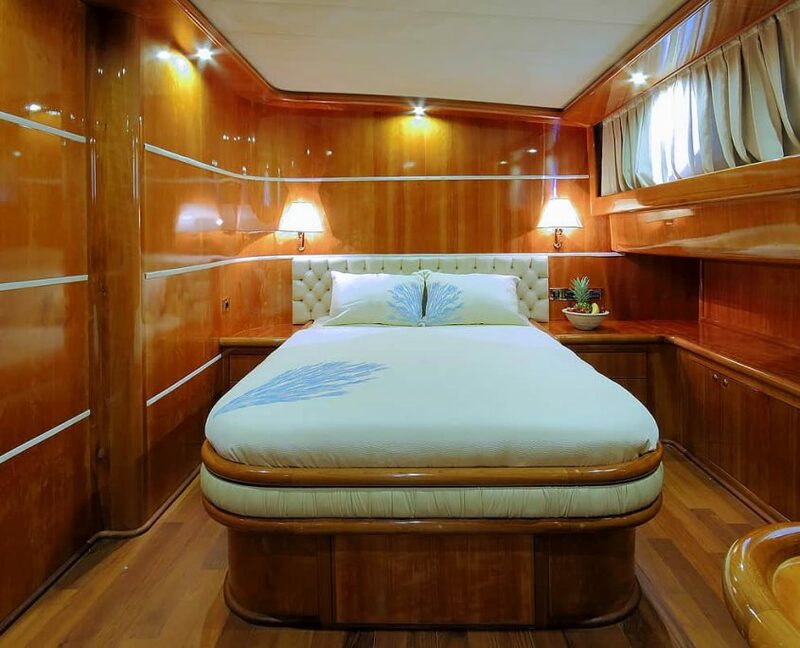 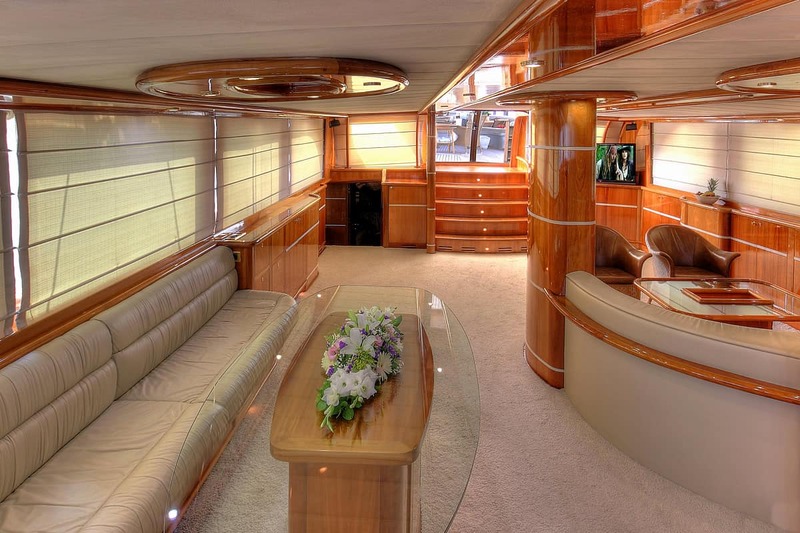 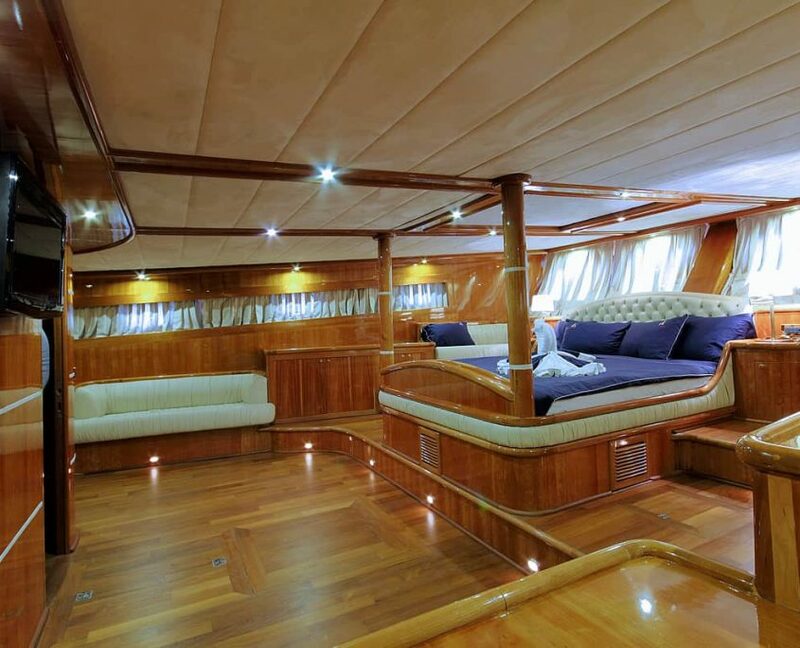 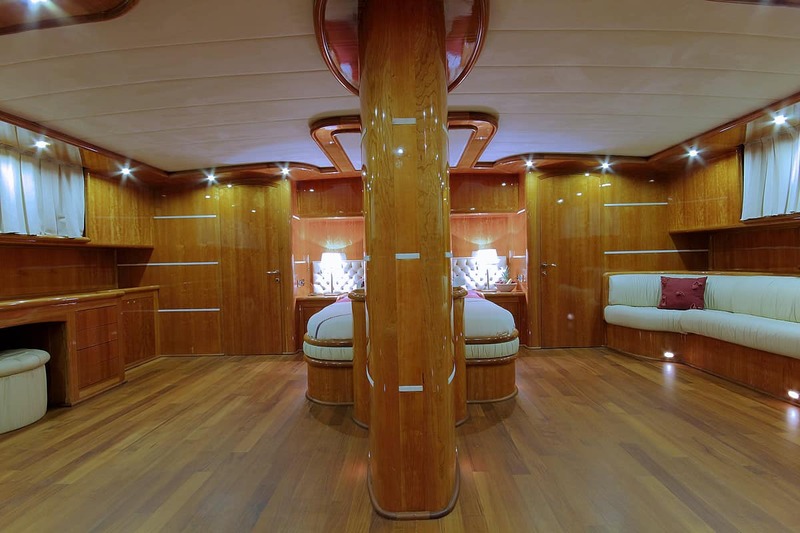 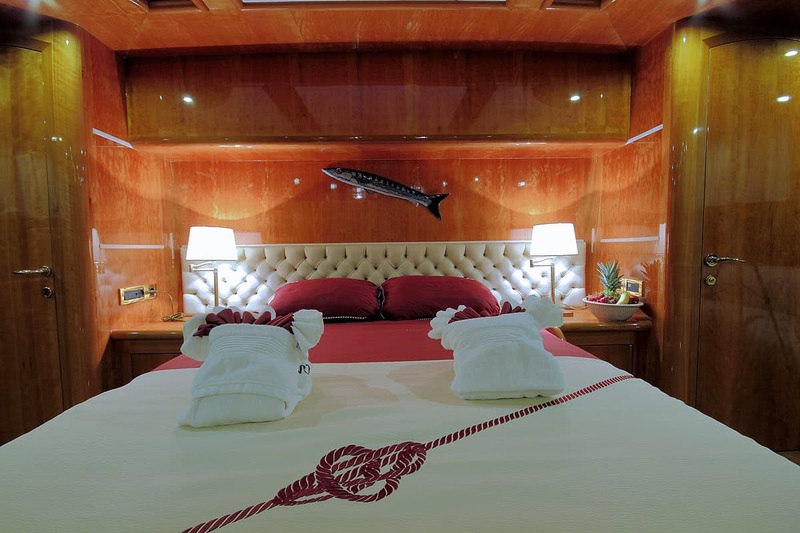 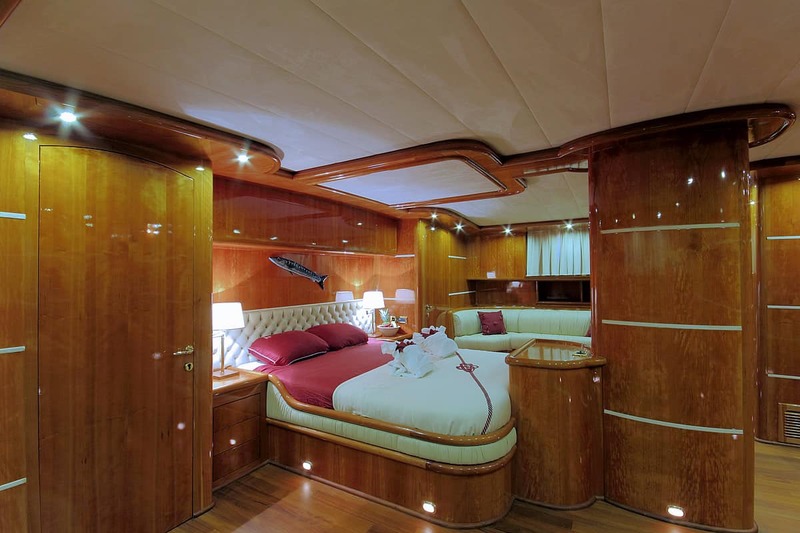 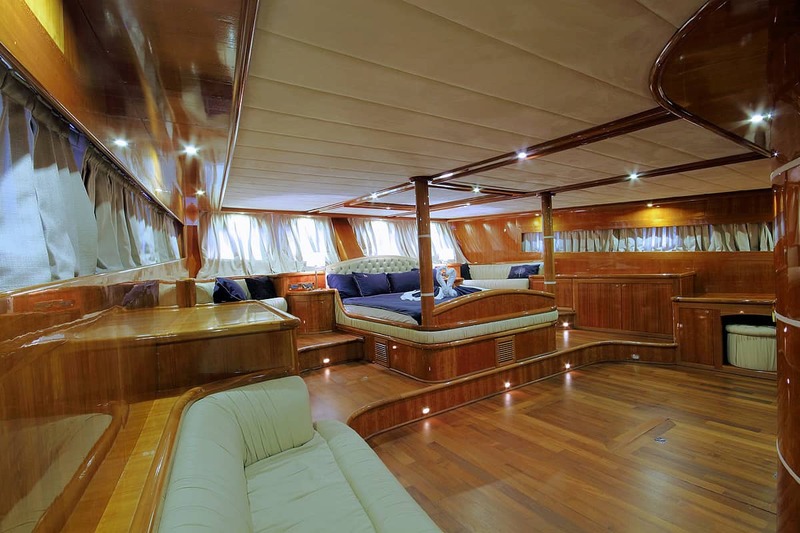 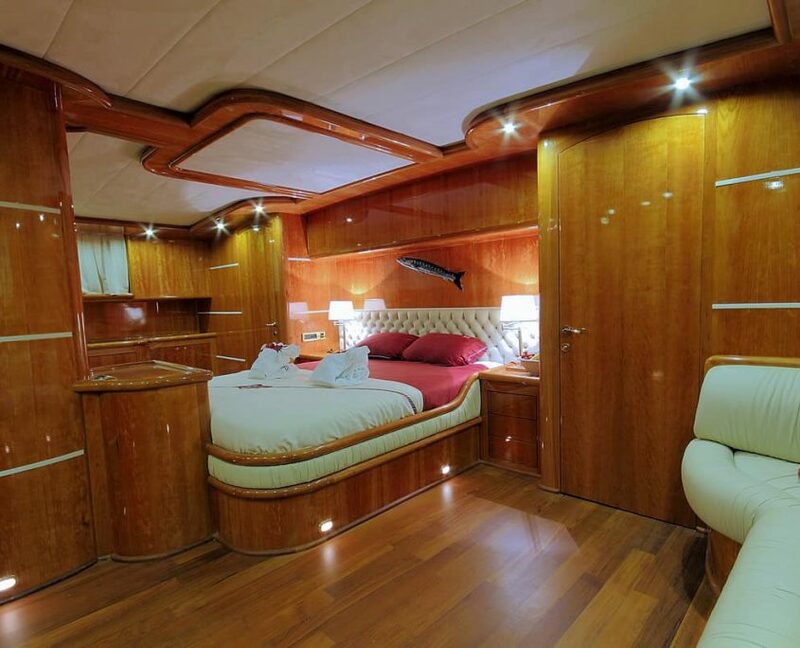 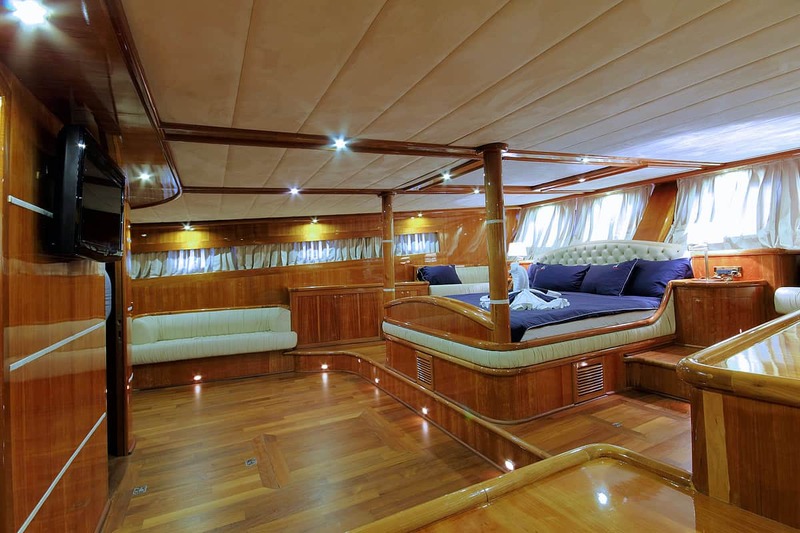 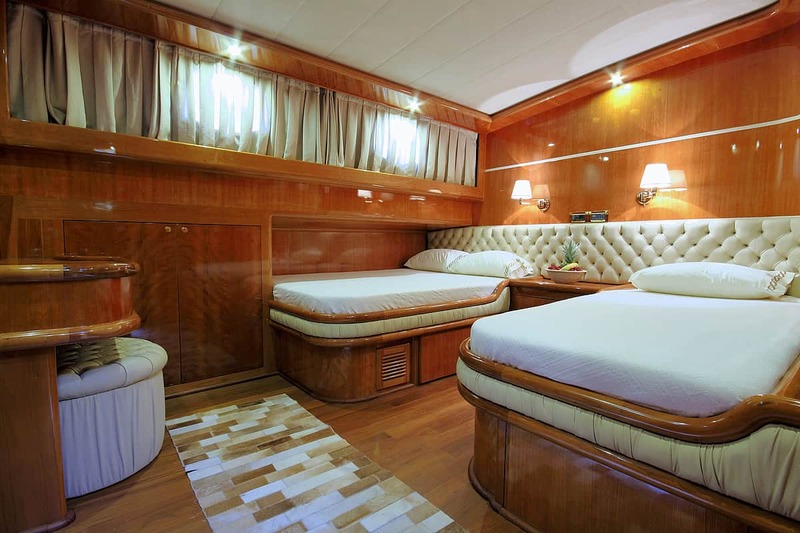 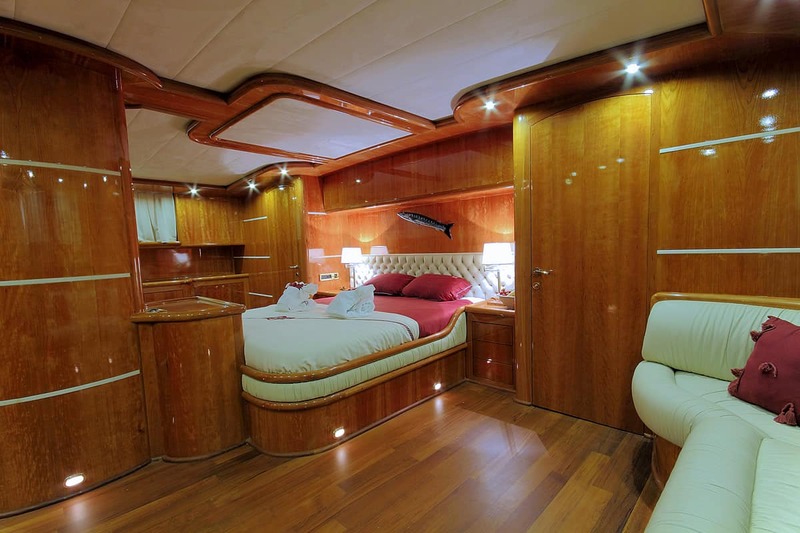 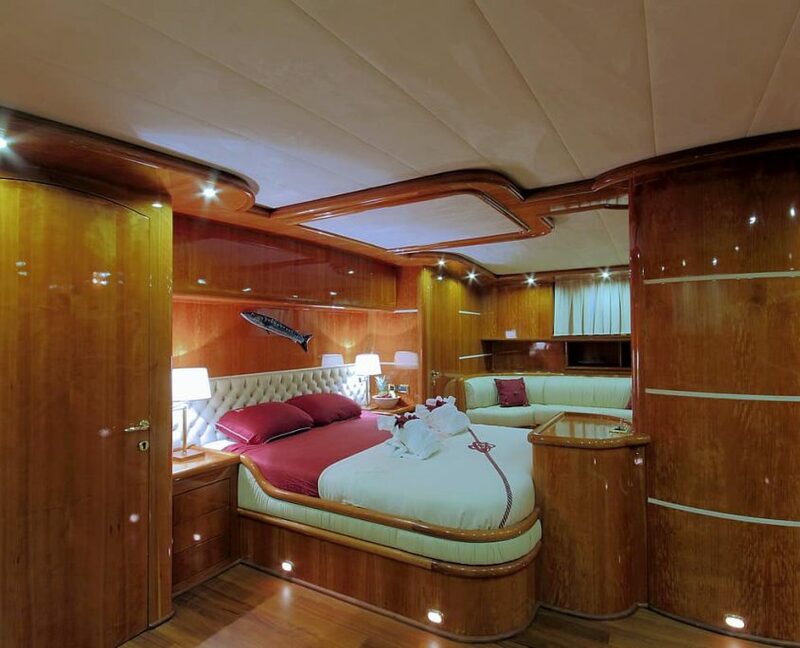 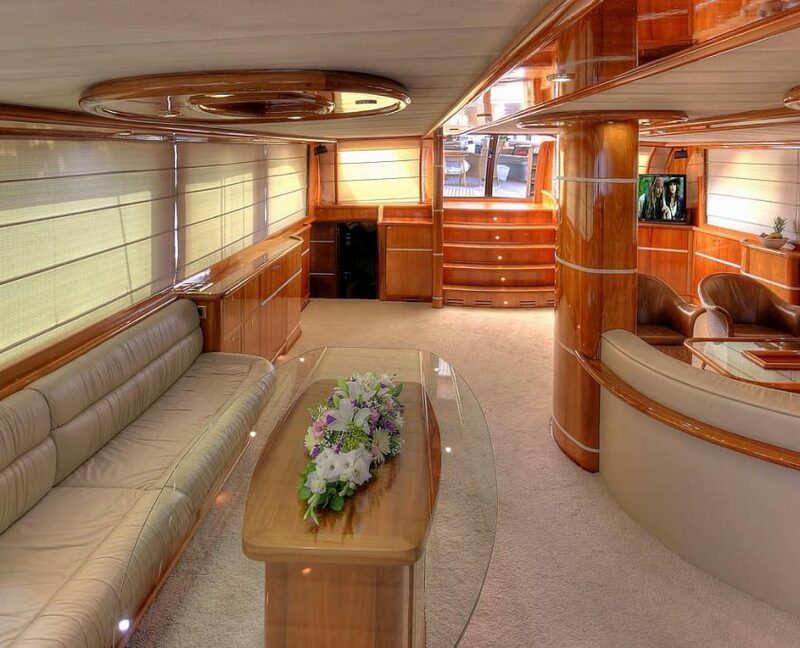 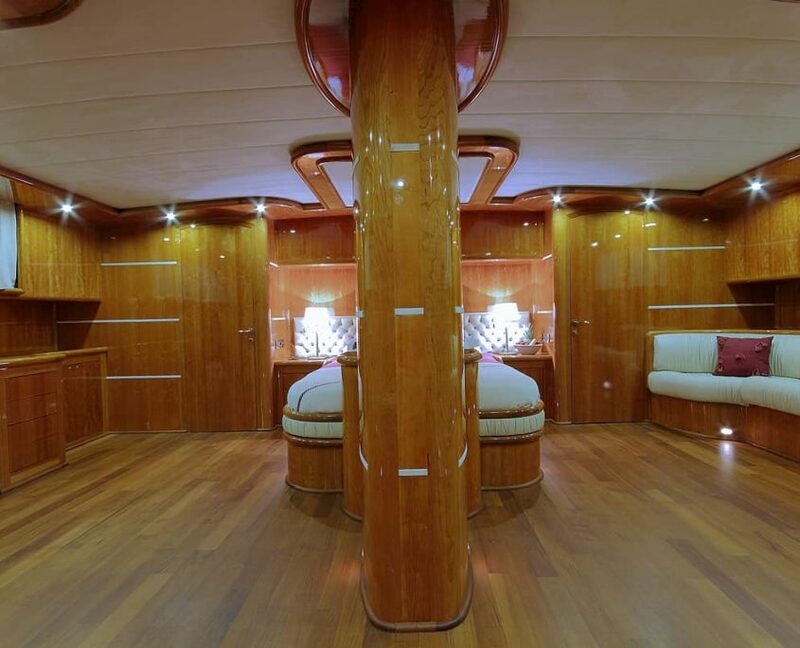 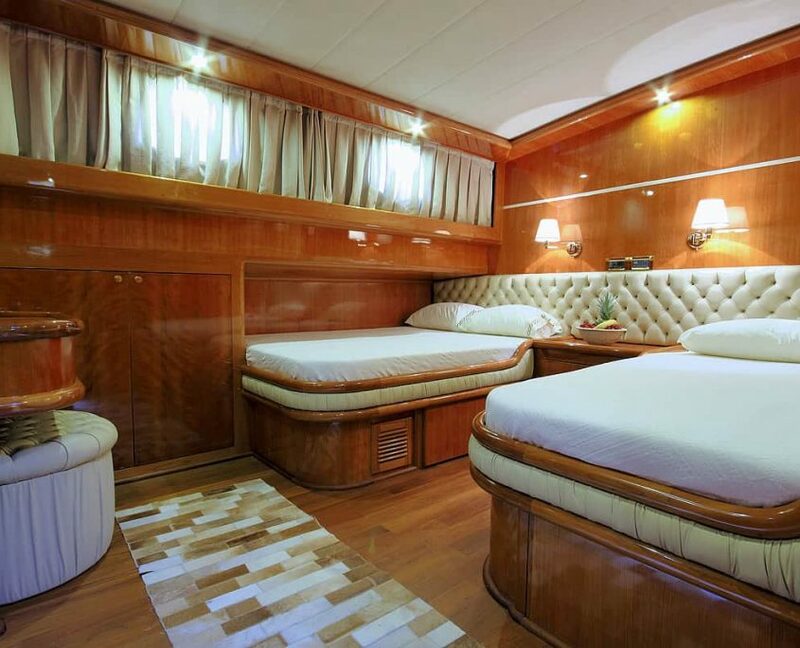 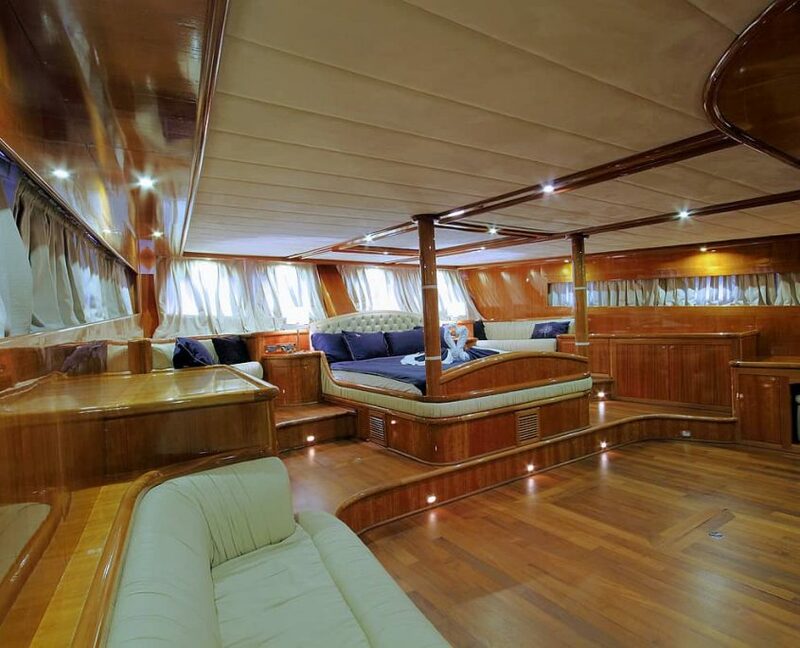 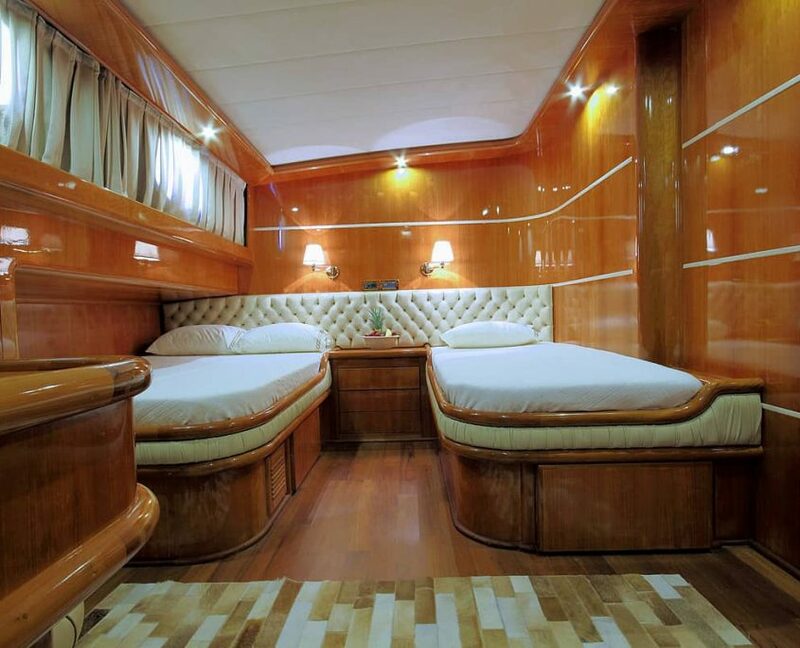 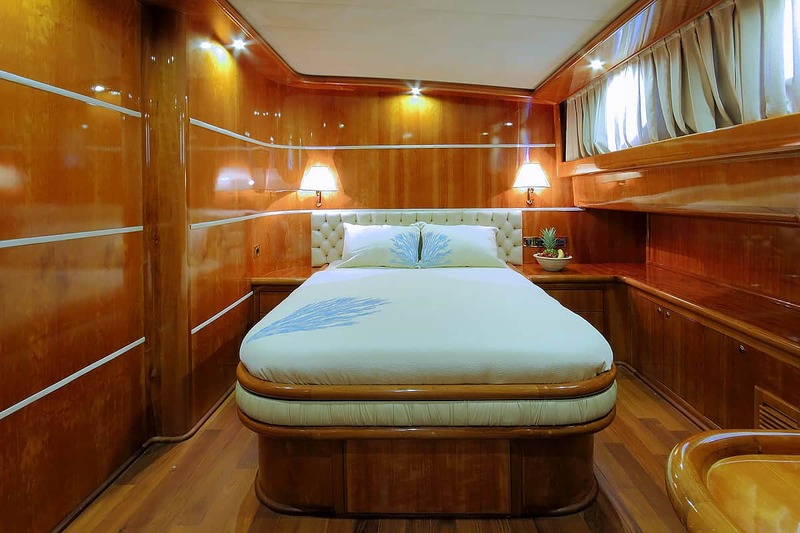 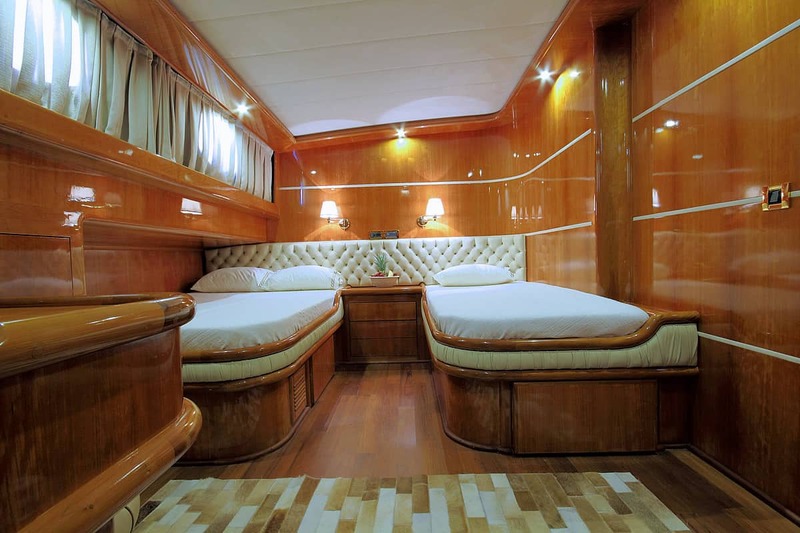 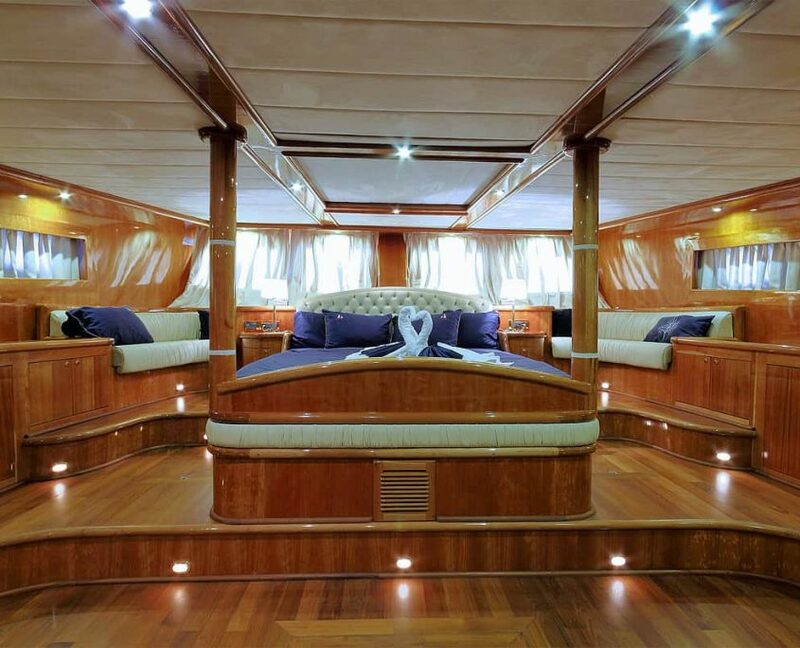 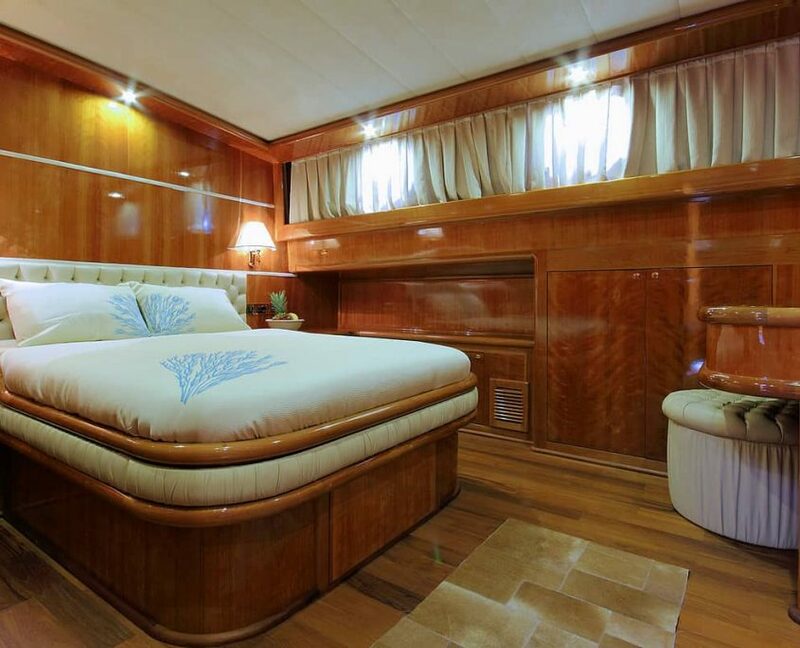 Her four awesome suits consist of one Master, two double and one twin cabins in an utmost luxury sailing yacht. 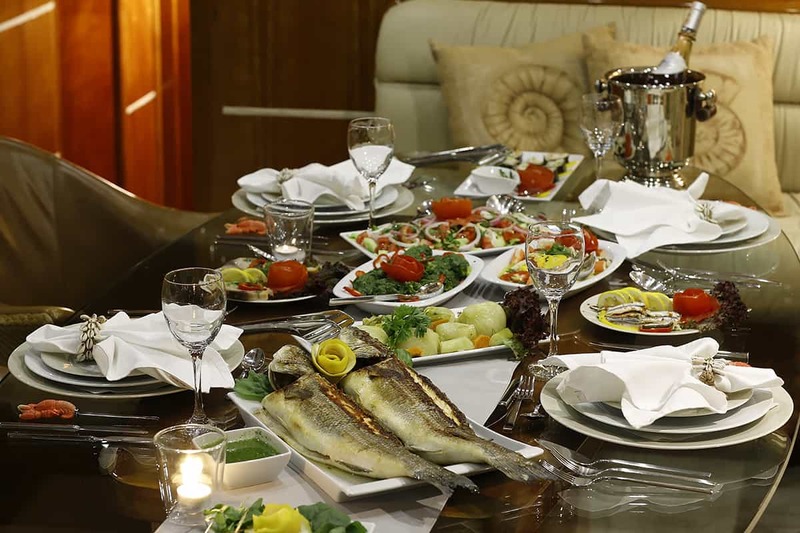 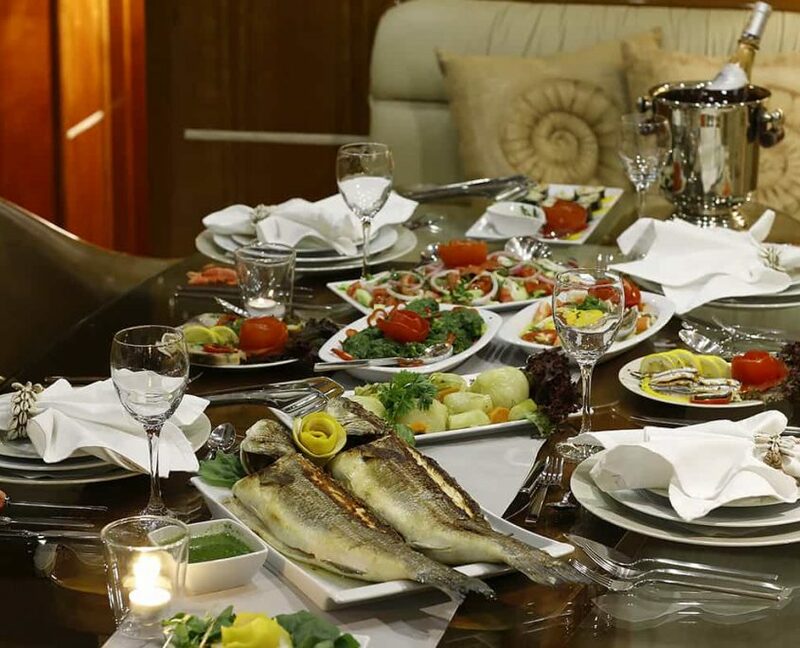 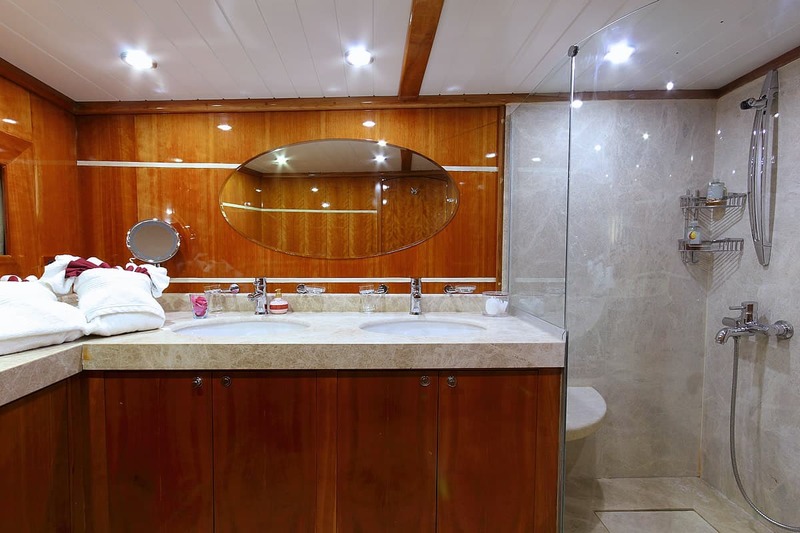 Considering general properties, the length and the number of cabins, it is seen that guests will travel with quite spacious and comfortable cabins. 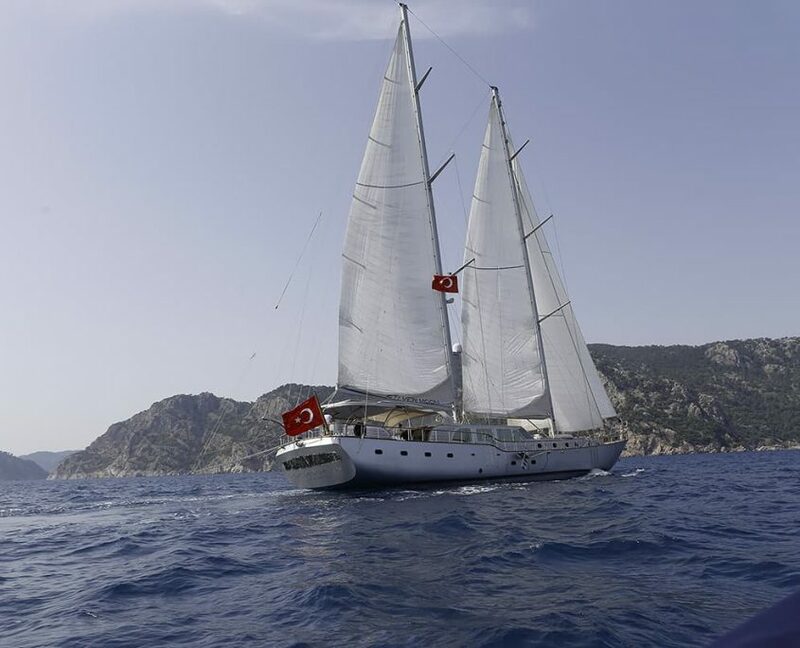 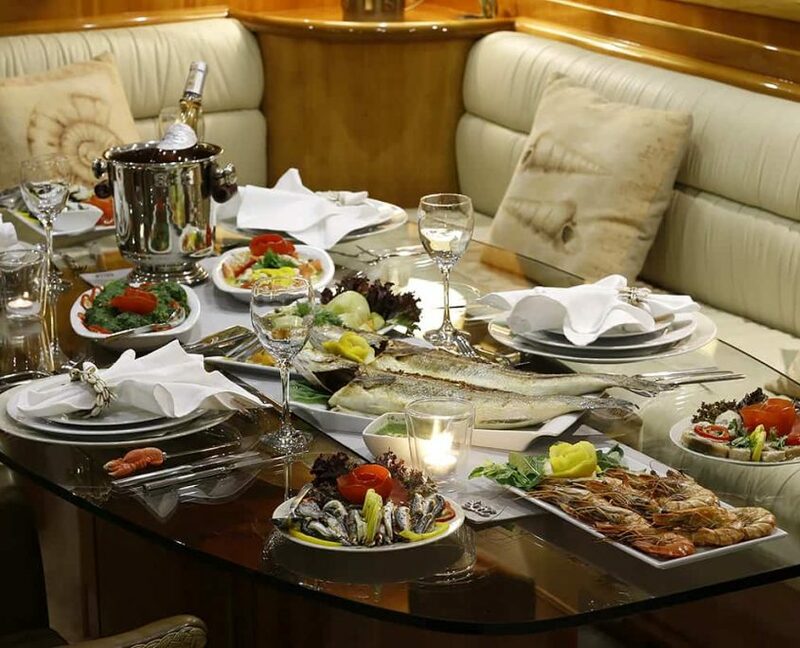 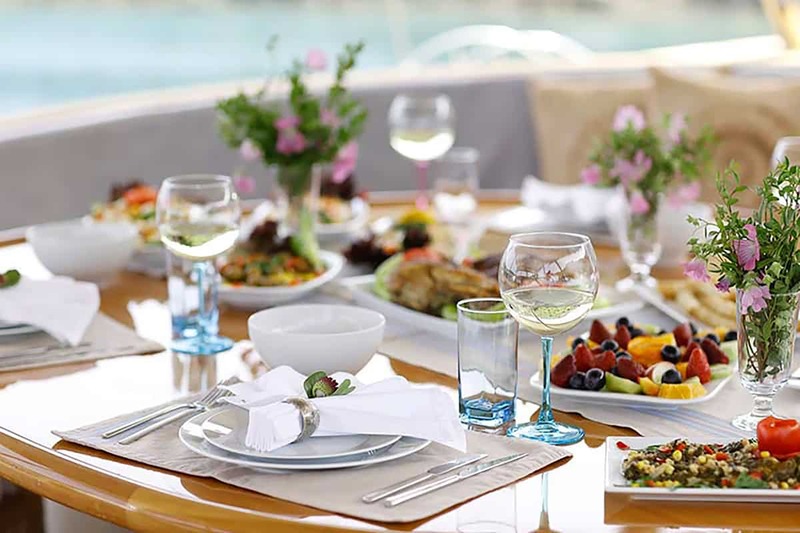 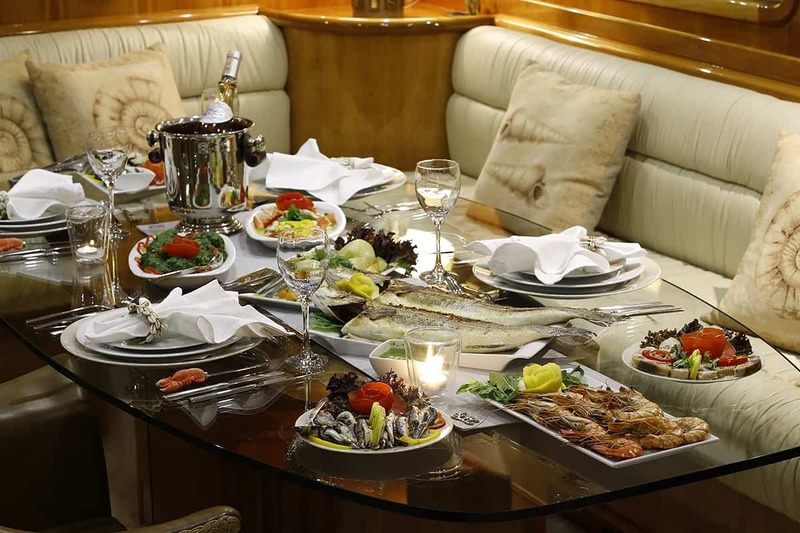 Also, thanks to experienced crew specialized in their fields guests can imagine themselves almost heaven in during the blue cruise. 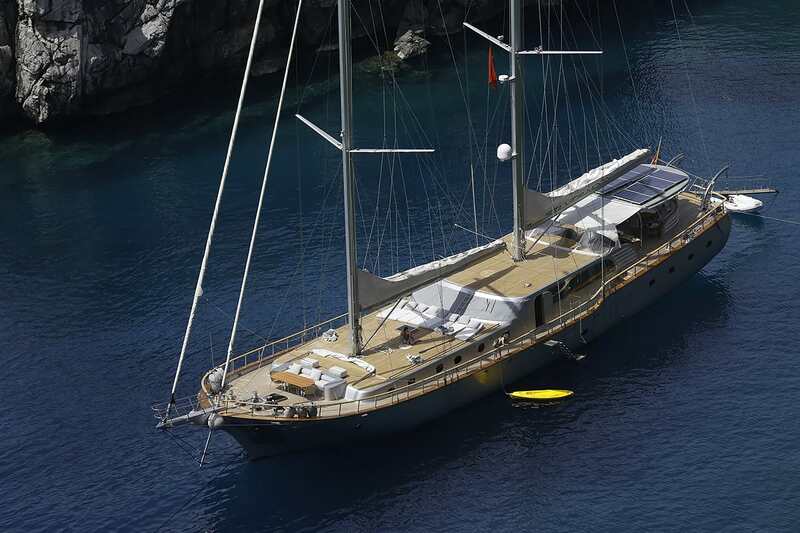 good choice of water toys. 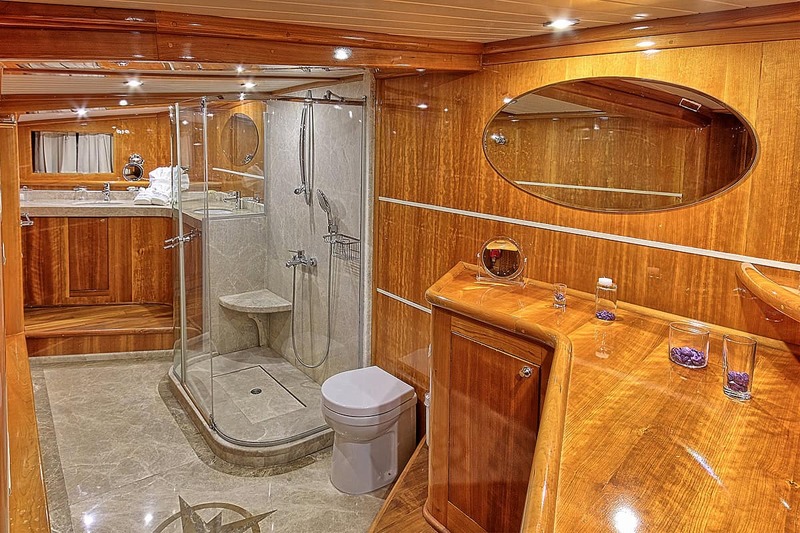 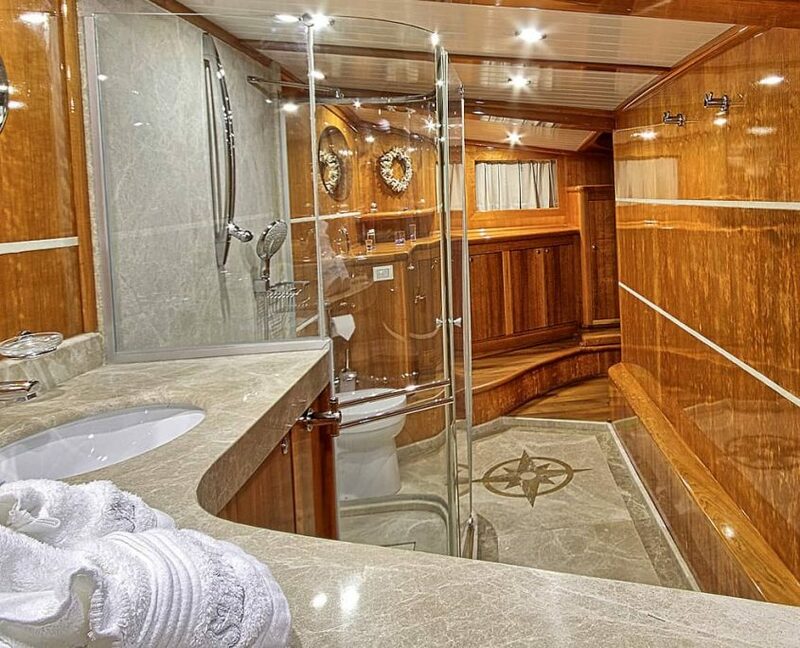 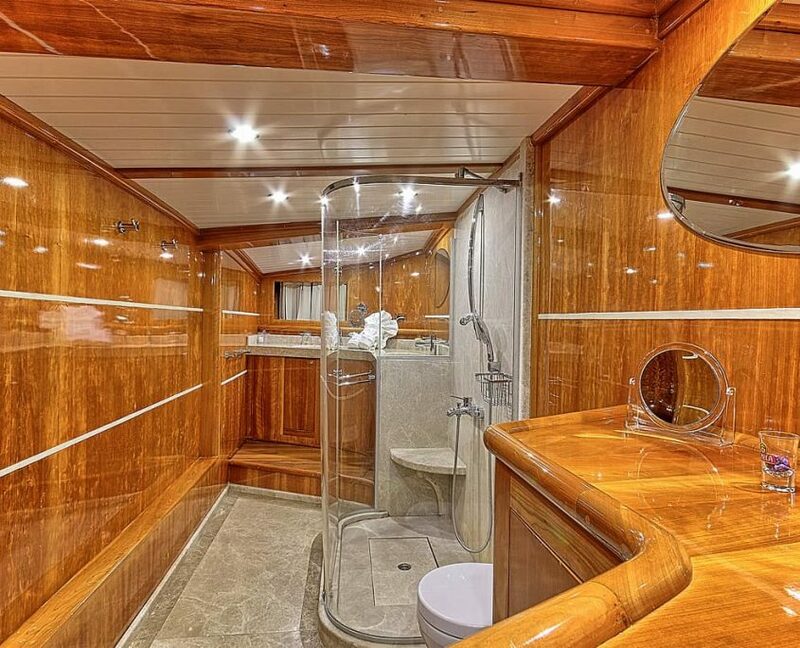 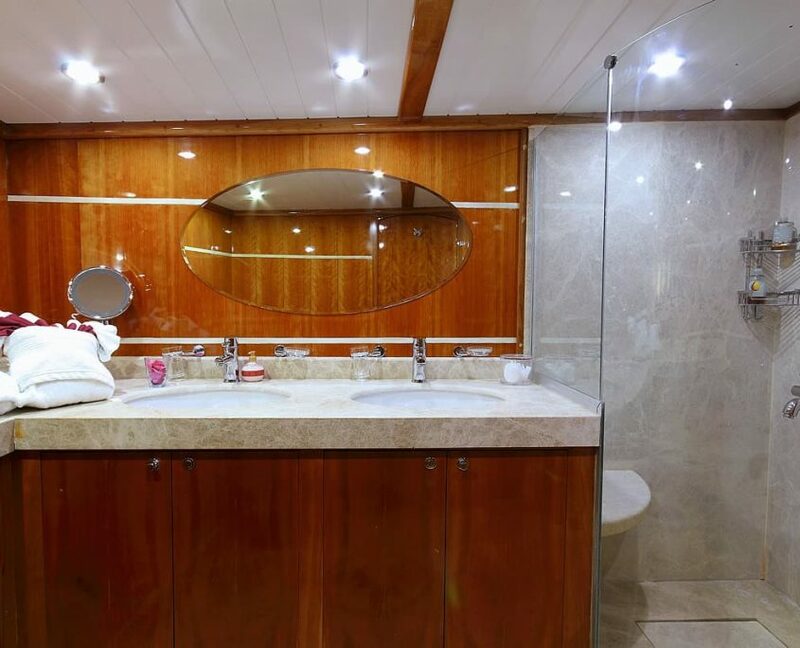 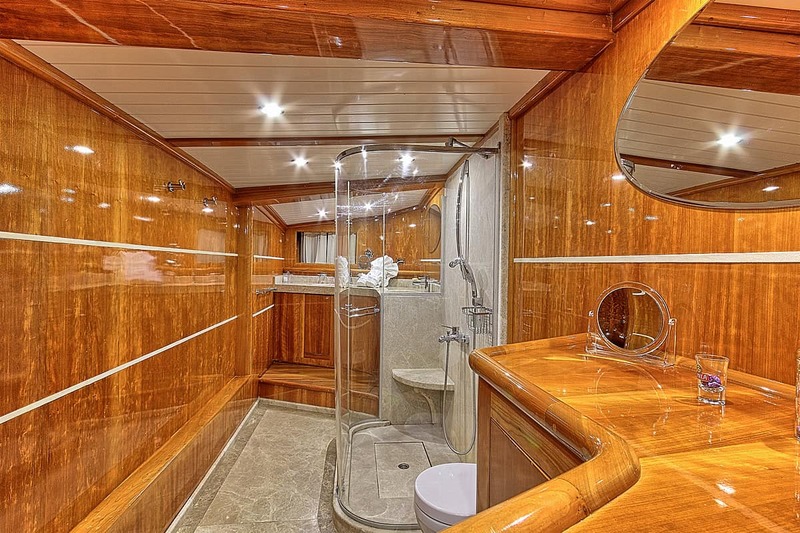 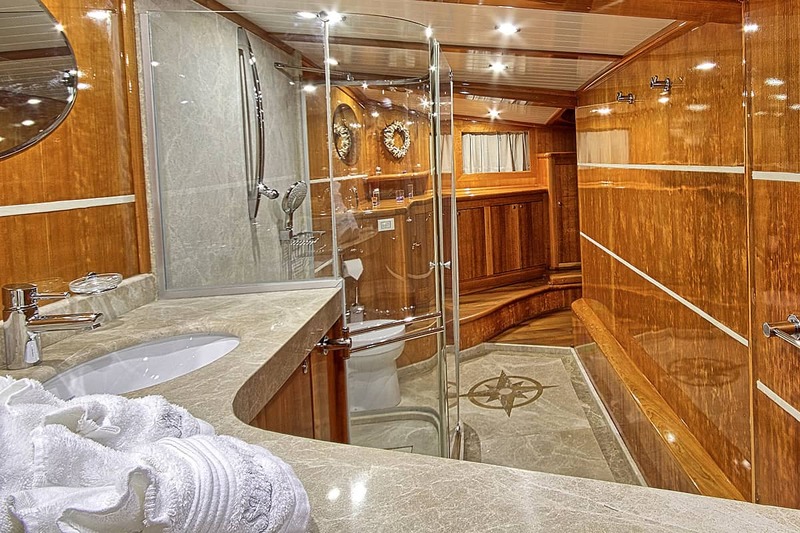 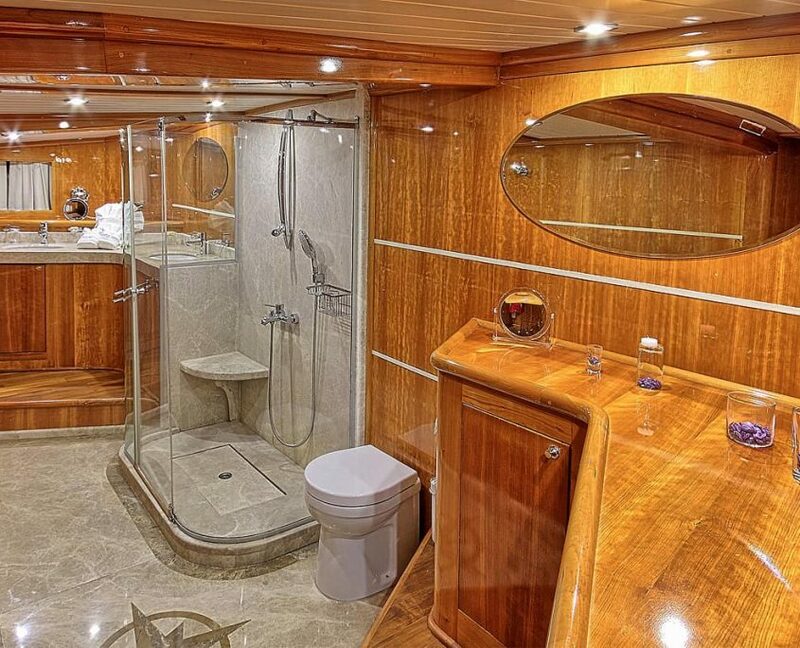 hot tub on the fore deck, Jacuzzi Bathroom, great chef.